The disclosure provides stabilized reducing agents and methods for using them in sample preparation. Stabilized reducing agents described herein provide easy-to-use replacement reducing agents for reducing agents that undergo side-reactions that can render them ineffective as reducing agents and/or decrease the concentration of available reducing agent. In some cases, a stabilized reducing agent is an activatable reducing agent that can be activated upon application of a stimulus to the reducing agent. 本申请案要求2015年5月18日提交的美国临时专利申请案序列号62/163,298的优先权，该申请案以引用的方式整体并入本文用于所有目的。  This application claims priority to U.S. Provisional Patent Application Serial No. 62 / 163,298 of May 18, 2015, filed, which application is incorporated by reference in its entirety herein for all purposes. 许多关键反应对反应混合物中存在的各种试剂的浓度都高度敏感，使得只有当某些试剂在非常狭窄的浓度窗口范围内存在时才可以实现有效反应。  The critical concentration of a number of reaction of the various reagents present in the reaction mixture are highly sensitive, so that only certain agents when in memory very narrow concentration window range can be achieved only when the reaction efficiently. 在一些情况下，这可能是由于反应中所涉及的计量化学，其中特定试剂的浓度超过反应所需的浓度可能有毒。 In some cases, this may be due to the chemical reactions involved in the measurement, wherein the concentration of a particular agent required to exceed the concentration of the reaction may be toxic. 在其它情况下，指定试剂的瞬变特性，例如不稳定性、挥发性或交叉反应性，可能需要其在特定时刻以指定浓度存在于反应中。 In other cases, the transient characteristics of the specified agent, e.g. instability, volatility or cross-reactivity, it may be necessary to specify the concentration present in the reaction at a particular time. 期望能够通过提供稳定化试剂组合物为瞬变试剂提供替代试剂，稳定化试剂组合物可以更精确地提供所需浓度的指定反应物，同时呈易于为广泛不同技巧水平的研究人员使用的稳固宽容形式提供反应物。  By providing desirable to provide a stabilized reagent composition is substituted for the agents transient reagent, stabilizing reagent composition can be more precisely specified to provide the desired concentration of reactants, while easy to form a wide range of different skill levels of researchers the solid reactant provided in the form of tolerance. 本公开解决了这些和其它需求。 The present disclosure addresses these and other needs. 本公开提供了稳定化还原剂及其使用方法。  The present disclosure provides a stabilized reducing agent, and methods of use. 稳定化还原剂可用于各种情况，包括样品制备。 Stabilizing the reducing agent can be used for a variety of situations, including sample preparation. 而且，还原剂的稳定可使其成为可活化还原剂。 Moreover, the stability of the reducing agent can be activated to become a reducing agent. 此类稳定化、可活化还原剂可在向还原剂施加刺激后活化。 Such stabilized activatable reducing agent activatable after applying stimulus to the reducing agent. 本公开的一个方面提供了一种用于核酸扩增的方法。  In one aspect the present disclosure provides a method for nucleic acid amplification. 该方法包括在反应体积中提供试剂，其中所述试剂包含第一组分，所述第一组分通过可还原键联与第二组分偶联，并且其中所述反应体积包括模板核酸分子和稳定化还原剂;借助于稳定化还原剂裂解所述可还原键联以使第一组分与第二组分去偶联;并且使用第一组分，使模板核酸分子经受扩增反应，以得到作为所述模板核酸分子扩增产物的核酸分子。 The method comprises providing a reagent in the reaction volume, wherein the reagent comprises a first component, the first component may be reduced by a linkage coupled with a second component, and wherein said reaction volume comprising a template nucleic acid molecule and stabilized reducing agent; by means of a reducing agent stabilizing the cleavable linkage may be reduced so that the first coupling component to the second component; the first component and using the template nucleic acid molecule is subjected to amplification reaction to as the template nucleic acid molecule to obtain an amplification product of a nucleic acid molecule. 在一些情况下，在使模板核酸分子经受扩增反应之前，所述稳定化还原剂对于可还原键联的还原活性可有至多20%的变化。 In some cases, the template nucleic acid molecule is subjected to prior to the amplification reaction, the reducing agent may be stabilized with up to 20% variation for reducing activity reducible linkages. 在一些情况下，在使模板核酸分子经受扩增反应之前，所述稳定化还原剂对于可还原键联的还原活性可有至多10 %的变化。 In some cases, the template nucleic acid molecule is subjected to prior to the amplification reaction, the reducing agent may be stabilized with up to a 10% reduction activity variations reducible linkages. 在一些情况下，在使模板核酸分子经受扩增反应之前，所述稳定化还原剂对于可还原键联的还原活性可有至多5%的变化。 In some cases, the template nucleic acid molecule is subjected to prior to the amplification reaction, the reducing agent can be stabilized with up to 5% of the reducing activity variations reducible linkages. 在一些情况下，在使模板核酸分子经受扩增反应之前，所述稳定化还原剂对于可还原键联的还原活性可有至多1 % 的变化。 In some cases, the template nucleic acid molecule is subjected to prior to the amplification reaction, the reducing agent may be stabilized with up to a 1% change in the activity for reducing reducible linkages. 而且，在一些情况下，使模板核酸分子经受扩增反应可包括使所述反应体积的温度循环。 Further, in some case, the amplification reaction is subjected to a template nucleic acid molecule may comprise the temperature of the circulating reaction volume. 在一些情况下，使模板核酸分子经受扩增之后，所述方法还包括提供所述扩增产物的至少一部分的序列。 In some case, the template nucleic acid molecule after amplification subjected, the method further comprises providing at least a portion of the sequence of the amplification product. 在一些情况下，所述稳定化还原剂包含含稳定化硫醇的化合物。  In some instances, the reducing agent comprises a stabilizing compound having thiol stabilized. 在一些情况下，所述含稳定化硫醇的化合物包含空间受阻的硫醇基团。 In some cases, stabilizing the thiol-containing compound comprises a sterically hindered thiol group. 在一些情况下，所述含稳定化硫醇的化合物包含青霉胺。 In some cases, stabilizing the thiol-containing compound comprises penicillamine. 在一些情况下，第二组分包含珠粒。 In some cases, the second component comprises beads. 在一些情况下，第一组分包含核酸分子且第二组分包含大分子基质。  In some cases, a nucleic acid molecule comprising a first component and a second component comprising a matrix of macromolecules. 在一些情况下，所述大分子基质包含聚合物基质。 In some cases, the polymer matrix comprises a matrix of macromolecules. 在一些情况下，所述聚合物基质包含水凝胶。 In some cases, the polymer matrix comprises a hydrogel. 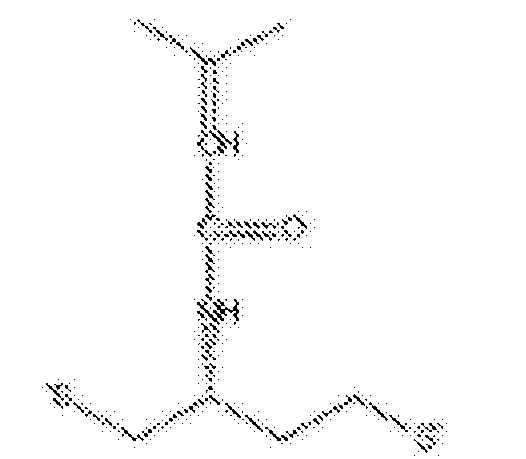 在一些情况下，所述水凝胶包含交联聚丙烯酰胺。 In some cases, the hydrogel comprises a crosslinked polyacrylamide. 在一些情况下，所述交联聚丙烯酰胺通过可还原交键联交联，并且所述方法还可包括在使模板核酸分子经受扩增反应之前裂解所述可还原交键联。 In some cases, the cross-linked polyacrylamide reducible cross-linking by cross-linking, and the method may further comprise, prior to a template nucleic acid molecule is subjected to cleavage of the amplification reaction reducible cross-linking. 在一些情况下，所述可还原交键联包括二硫键联。 In some cases, the cross-linking comprises a reducible disulfide linked. 在一些情况下，所述可还原键联包括连接所述核酸分子与所述聚合物基质的二硫键联。  In some cases, the linkage comprises a disulfide reducible connected in the nucleic acid molecule with the polymer matrix. 在一些情况下，所述核酸分子包含条码序列。 In some cases, the nucleic acid molecule comprises a barcode sequence. 在一些情况下，所述扩增产物包含条码序列。 In some cases, the amplification product comprises a barcode sequence. 在一些情况下，所述扩增产物包含局部发夹结构。 In some cases, the amplification product comprises a partial hairpin structure. 在一些情况下，在油包水乳液中的液滴的水性内部提供所述反应体积。  In some cases, the internal aqueous droplets in the oil-in-water emulsion to provide said reaction volume. 在一些情况下，所述反应体积包含酶，例如，参与所述扩增反应的聚合酶。 In some cases, the reaction volume comprises an enzyme, e.g., a polymerase involved in the amplification reaction. 在一些情况下，在一些情况下，在一些情况下，在一些情况下，所述第一组分包含参与所述扩增反应的引物。 In some cases, in some cases, in some cases, in some cases, the first component comprises amplification primers participating in the reaction. 另一方面，本公开提供了一种进行还原反应的方法。  In another aspect, the present disclosure provides a method of reduction reaction. 该方法包括在反应体积中提供试剂，其中所述试剂包含第一组分，所述第一组分通过可还原键联与第二组分偶联，并且其中所述反应体积包括呈非活性状态的还原剂，使得所述还原剂与所述可还原键联基本上不反应;使所述还原剂经受活化条件，使得所述还原剂变得与所述可还原键联有反应性;并且容许所述还原剂与所述可还原键联反应以使所述第一组分与所述第二组分去偶联。 The method comprises providing a reagent in the reaction volume, wherein the reagent comprises a first component, the first component may be reduced by a linkage coupled with a second component, and wherein said reaction volume was inactive state comprises reducing agent, the reducing agent so that the reducible linkage are substantially non-reactive; the reducing agent is subjected to activation conditions, such that the reducing agent becomes the reducible linkage reactive; and allows the reducing agent and the reaction reducible linkage such that said first component and said second component decoupling. 在一些情况下，该方法还包括测定所述扩增产物的至少一部分序列的序列。 In some cases, the method further comprises sequencing at least a portion of the sequence of the amplification product. 在一些情况下，所述反应体积包括模板核酸分子并且所述第一组分包含引物。  In some cases, said reaction volume comprising a template nucleic acid molecule and said first component comprises a primer. 所述方法还可包括在容许所述还原剂与可还原键联反应之后，使用所述第一组分，使所述模板核酸分子经受扩增反应，以得到作为所述模板核酸分子扩增产物的核酸分子。 The method may further comprise allowing the reducing agent after a reducible linkage reaction, using the first component, so that the template nucleic acid molecule is subjected to amplification reaction as the template nucleic acid to obtain an amplification product molecule the nucleic acid molecule. 在一些情况下，所述引物包含条码序列。 In some cases, the primer contains a bar code sequence. 在一些情况下，所述活化条件包括向所述反应体积添加热能。  In some cases, the thermal activation conditions comprises adding to the reaction volume. 在一些情况下，所述活化条件裂解所述还原剂的共价键。 In some cases, the activation conditions of cleavage of the covalent bond reducing agent. 在一些情况下，呈其非活性状态的所述还原剂是稳定化还原剂。 In some cases, the form which is inactive state of the reducing agent stabilize the reducing agent. 在一些情况下，所述稳定化还原剂包含含稳定化硫醇的化合物。 In some instances, the reducing agent comprises a stabilizing compound having thiol stabilized. 在一些情况下， 所述含稳定化硫醇的化合物包含空间受阻的硫醇基团。 In some cases, stabilizing the thiol-containing compound comprises a sterically hindered thiol group. 在一些情况下，所述第二组分包含珠粒。  In some cases, the second component comprises beads. 在一些情况下，所述第一组分包含核酸分子且所述第二组分包含大分子基质。 In some cases, a nucleic acid molecule comprising said first component and said second component comprises a matrix of macromolecules. 在一些情况下，所述大分子基质包含聚合物基质。 In some cases, the polymer matrix comprises a matrix of macromolecules. 在一些情况下，所述聚合物基质包含水凝胶。 In some cases, the polymer matrix comprises a hydrogel. 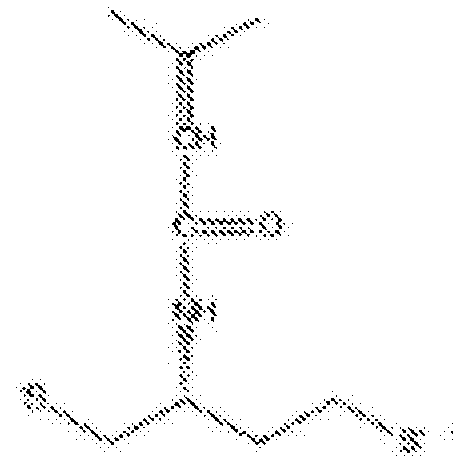 在一些情况下，所述水凝胶包含交联聚丙烯酰胺。 In some cases, the hydrogel comprises a crosslinked polyacrylamide. 在一些情况下，所述交联聚丙烯酰胺通过可还原交键联交联。 In some cases, the cross-linked polyacrylamide cross-linking may be reduced by cross-linking. 在一些情况下，所述可还原交键联包括二硫键联。 In some cases, the cross-linking comprises a reducible disulfide linked. 在一些情况下，在使所述还原剂经受活化条件之后，所述方法还包括裂解所述可还原交键联。 In some cases, after the reducing agent is subjected to activation conditions, said method further comprising cleaving the reducible cross-linking. 在一些情况下，所述可还原键联包括连接所述核酸分子与所述聚合物基质的二硫键联。  In some cases, the linkage comprises a disulfide reducible connected in the nucleic acid molecule with the polymer matrix. 在一些情况下，所述核酸分子包含条码序列。 In some cases, the nucleic acid molecule comprises a barcode sequence. 在一些情况下，在油包水乳液中的液滴的水性内部提供所述反应体积。 In some cases, the internal aqueous droplets in the oil-in-water emulsion to provide said reaction volume. 在一些情况下，所述反应体积包含酶，其可以是，例如聚合酶。 In some cases, the reaction volume comprises an enzyme, which may be, for example, a polymerase. 本公开另外的方面和优点对于本领域的技术人员而言从下列详细描述将变得显而易见，其中仅示出并描述了本公开的说明性实施方案。  Further aspects of the present disclosure and advantages to those skilled in the art from the following detailed description will become apparent, wherein only the illustrated and described illustrative embodiments of the present disclosure. 正如将意识到的那样，本公开能够有其它不同的实施方案，并且其几个细节能够在各个明显方面进行修改，其全部都不背离本公开。 As will be appreciated, the present disclosure is capable of other different embodiments, and its several details are capable of modifications in various obvious respects, all without departing from the present disclosure. 因此，本质上要将附图和说明书视为说明性的，而非限制性的。 Accordingly, the drawings and description are essentially want regarded in an illustrative, and not restrictive. 本说明书中提到的所有公开案、专利和专利申请以引用的方式并入本文，其程度如同特别地且单独地指出将每个单独的公开案、专利或专利申请以引用的方式并入一样。  All publications mentioned in this specification, patents and patent applications incorporated by reference herein to the same extent as if specifically and individually indicated to be each individual publication, patent or patent application by reference be incorporated. 在以引用的方式并入的公开案和专利或专利申请与本说明书中所含的公开内容矛盾的程度上，本说明书旨在取代和/或优先于任何此类矛盾材料。 Extent contradictory disclosure contained in the incorporated by reference in the publications and patents or patent applications in this specification, the present specification is intended to replace and / or take precedence over any such contradictory material. 图13示意性描绘了本文描述的示例计算机控制系统。  FIG. 13 schematically depicts an example computer control system described herein. 虽然本文已经示出并描述了本发明的各个实施方案，但对于本领域的技术人员将显而易见的是，此类实施方案仅以举例的方式提供。  Although described herein have been shown and described various embodiments of the present invention, but those skilled in the art will be apparent that such embodiments are provided by way of example only. 对于本领域的技术人员而言在不背离本发明的前提下可进行许多改变、变化和取代。 For those skilled in the art without departing from the present invention may be made on the premise that many changes, variations and substitutions. 应理解，可以采用本文描述的本发明实施方案的各种替代方案。 It should be understood that various alternatives to the embodiments of the present invention described herein. 本公开提供了包含稳定化还原剂的组合物及那些组合物在各种不同方法和工艺中的用途。  The present disclosure provides the use of a reducing agent comprising a stabilizing compositions and those compositions in various methods and processes. 对于许多所需反应而言，例如，对于分析、加工或其它用途而言，采用还原剂以便引发所需还原反应和/或利用还原反应的产物的一个或多个反应，或防止对不需要的氧化反应的引发。 For many desired reaction, e.g., for analysis, processing or other uses, a reducing agent to initiate one or more desired reduction reactions and / or use of the products of the reduction reaction, or prevent unwanted initiation of the oxidation reaction. 常见还原剂的实例包括⑶-2-氨基丁烷-1，4-二硫醇盐酸盐(例如，参见图1中的图A)、二硫苏糖醇(DTT)(例如，参见图1中的图B)和三(2-羧乙基)膦(TCEP)(例如，参见图1中的图C)。 Examples of common reducing agents include ⑶-2- amino-1,4-dithiol hydrochloride (e.g., see FIG. 1 A), dithiothreitol (DTT) (e.g., see FIG. 1 in panel B) and tris (2-carboxyethyl) phosphine (TCEP) (e.g., see FIG. 1 C). 本文描述的稳定化还原剂以许多方式中的一种或多种提供反应性还原剂的稳定性。  The stabilized reducing agent described herein in a number of ways to provide stability of one or more reactive reducing agent. 稳定化还原剂，如本文中所用，通常是指包含通过降低或基本上抑制其在一种或多种非所需反应(包括，例如还原反应、氧化反应或其它不期望的副反应、挥发等）中的反应性来保持其用于所需还原反应的还原电位的结构和/或功能性的还原剂。 Stabilizing reducing agent, as used herein, generally refers to substantially reducing or inhibiting comprises by which one or more non-desired reactions (including, for example reduction, oxidation or other undesirable side reactions and volatilization reactivity) and to maintain the / reduction potential of the reducing agent required for the reduction reaction of the functional or structural. 在一些情况下，稳定化还原剂包含一个或多个在还原反应中具有还原活性的空间受阻的官能团。 In some cases, the stabilization comprises one or more reducing agent in the reduction reaction of functional groups having reducing activity of sterically hindered. 例如，在包含一个或多个反应性硫醇基团的稳定化还原剂的情况下，硫醇基团可被分子中的一个或多个其它官能团空间阻碍。 For example, in a case where the stabilization comprises one or more reducing agent of thiol groups, thiol groups in one molecule may be hindered or more other functional groups space. 而且，也可通过生成呈非活性状态的还原剂使稳定化还原剂稳定化。 Furthermore, the stabilizer may be stabilized by reducing agents of the reducing agent was generated in an inactive state. 在一些情况下，可通过取代还原剂的一个或多个官能团将活性还原剂转化为非活性状态。 In some cases, a reducing agent may be substituted by one or more functional groups into non-reducing activity of the active state. 取代可为还原剂的还原性官能团提供空间阻碍，致使此类基团低反应性或无反应性。 May afford sterically hindered reducing agent is a reducing functional group, resulting in low reactivity or non-reactivity of such groups. 在一些情况下，还原剂的经取代形式可如以下所讨论的那样转化为活性状态。 In some cases, a reducing agent such as substituted forms may be converted into an active state as discussed below. 而且，稳定化还原剂可以呈防止在常规储存条件下氧化的形式提供。  Moreover, the form may be stabilized to prevent oxidation of the reducing agent under conventional storage conditions form. 还原剂易于氧化，因为它们反应，包括经由分子内反应，形成氧化产物。 The reducing agent is easily oxidized because they react, including via the molecule, to form oxidation products. 例如，如图2 (图A)所示，DTT在氧化反应中（例如，在空气的存在下)可自身反应以生成具有环结构的氧化形式的DTT。 For example, FIG. 2 (panel A) as shown, DTT in the oxidation reaction (e.g., in the presence of air) may be reacted to form their oxidized form having a ring structure DTT. 氧化形式的DTT与其还原形式相比活性较低或无效，因此，这种氧化倾向可限制DTT作为还原剂的有效性。 DTT reduction of the oxidized form to its active or inactive form as compared to a lower, and therefore, this oxidation tends to limit the effectiveness of DTT as the reducing agent. 在另一实例中，如图2 (图B)所示，二硫丁胺(DTBA)在氧化反应中可自身反应以生成同样具有环结构的氧化形式的DTBA。 In another example, FIG. 2 (FIG. B), disulfide amine (DTBA) in the oxidation reaction itself may be reacted to form the oxidized form having the same ring structure DTBA. 与DTT类似，氧化形式的DTBA与其还原形式相比活性较低或无效，因此，这种氧化倾向可限制DTBA作为还原剂的有效性。 Like DTT, oxidized form to its reduced form as compared DTBA low active or inactive, and therefore, this oxidation tends to limit the effectiveness of DTBA as the reducing agent. 另外或可选地，稳定化还原剂可以呈与物质反应性较低的形式提供，其中此类反应是目标反应不太需要的副反应，或其中此类试剂可不易挥发或瞬变。  Additionally or alternatively, the reducing agent may be in the stabilization of the material provided with a lower reactive form, wherein the target reaction is the reaction of such less desirable side reactions, or where such agents may be less volatile or transient . 通过提供稳定化试剂，可以更肯定的是供给的原反应浓度的指定试剂在使用时将保持不变并且在有用浓度范围内。 By providing a stabilizing agent can be more certainly fed raw reaction is specified concentration reagent in use remain unchanged and within a useful concentration range. 可选地，可以为反应给予过量的指定试剂，对目标反应可能有负面影响，或者可以精确预测在特定条件下发生反应时将存在多少反应物。 Alternatively, the reaction may be administered to the specified excess reagent, the reaction has a negative effect on the target may or may accurately predict how much will be present when the reactants react under specific conditions. 在一些情况下，为了引发所需还原反应，可需要阈值水平的还原剂。  In some cases, in order to initiate the desired reduction reaction, the threshold level may require a reducing agent. 然而，许多还原剂由于(例如)氧化(例如，如上所述的DTT、DTBA)在储存时随时间推移而具有相对较低的稳定性。 However, since a number of reducing agents (e.g.) oxide (e.g., above DTT, DTBA) upon storage over time it has a relatively low stability. 因而，并且如上所述，为了确保可以向目标反应递送足量的还原剂，可能需要反应过量加剂，因为无法确定陈年试剂的还原能力。 Thus, as noted above, in order to ensure a sufficient amount of reducing agent can be delivered to the target reaction, the reaction may need to overdosing, because they can not determine the ability of reducing aging agent. 如上所述，为反应加过量还原剂本身可能对反应或其组成反应物具有显著的负面影响。 As described above, may have a significant negative effect on the reaction or reactant composition excess reducing agent was added the reaction itself. 因而，期望提供随时间推移具有相对较高稳定性的还原剂，以便可以更容易地了解应用于任何指定反应的还原能力。 Accordingly, it is desirable to provide the reducing agent over time with a relatively high stability, so that it can more easily understand applied to any given reaction reducing ability. 对于许多情况而言，目标反应对反应混合物中存在的反应性还原剂的量高度敏感。  For many cases, the target reaction is highly sensitive to the amount of reaction mixture present in the reaction of the reducing agent. 因此，反应混合物内反应性还原剂的量的较小波动可对反应效力具有显著影响，并且在一些情况下，甚至具有显著的负面影响。 Therefore, the smaller the amount of fluctuation of the reducing agent to the reaction mixture of the reaction can have a significant effect on the reaction efficiency, and in some cases, even have a significant negative impact. 试剂在本质上瞬变时，不管使用者理解或不理解， 可简单地发生这些较小波动。 Reagent transient in nature, whether or not the user appreciated understood that these smaller simply fluctuates. 因此，按有用浓度提供的试剂到使用时可在有用浓度范围之夕卜。 Thus, in useful concentrations of agents may provide a useful concentration range in the evening when the BU used. 这在想要运输试剂并储存一段时间时，例如，当试剂盒供消费者使用时会成问题。 This is when you want to transport agents and stored for a period of time, for example, when the kit will be a problem for consumer use. 而且， 在一些情况下，不稳定的还原剂可引起不期望的副反应，这可以导致所需反应产物的量不可预知且往往减少。 Further, in some cases, unstable reducing agents may cause undesirable side reactions, which may result in the amount of desired reaction product and often unpredictable reduced. 在一些情况下，不稳定的还原剂可与一种或多种非所需物质反应，这可以影响由还原反应或利用还原反应的一种或多种产物的任何下游还原反应生成的反应产物。 In some cases, reducing agent may be unstable with one or more non-reacting required, which may affect the reaction of the reaction product is reduced by the reduction or downstream by any one or more products of the reaction of the reduction reaction. 还原剂浓度的波动，如以上所讨论的，可进一步放大与不稳定的还原剂相关的不可预知的/负面效应。 Fluctuations in the concentration of reducing agent, can be further amplified as discussed above, unpredictable / unstable negative effects associated with the reducing agent. 例如，相对不稳定的还原剂，例如DTT或DTBA，可在还原反应和/或任何下游反应中产生不同的反应性能(例如，反应产物的生成），由于反应体积中还原剂的浓度随时间推移可变，下游反应依赖还原剂的还原活性以使得一种或多种反应组分和/或条件可用于下游反应。  For example, relatively unstable reducing agents, e.g. DTT or DTBA, the reduction reaction may be and / or downstream of the reaction to produce any different reaction properties (e.g., the reaction product formation), since the concentration of reducing agent in a reaction volume of variable with the passage of time, the downstream reaction is dependent reduction activity reducing agent, such that one or more reaction components and / or reaction conditions may be used downstream. 而且，使用抑制量的还原剂(例如，以补偿活性还原剂由于非所需氧化的损失)时，相对不稳定的还原剂可以对一种或多种反应组分发挥抑制作用，也导致可变并且可能降低的反应性能。 Further, the use of an inhibitory amount of a reducing agent (e.g., the activity of the reducing agent to compensate for losses due to non-desired oxidation), the reducing agent may exert relatively unstable inhibition of one or more reaction components, also results in a variable and the reactivity may decrease. 例如，相对高浓度的还原剂可在反应期间抑制酶，例如核酸扩增反应中的聚合酶。 For example, relatively high concentrations of reducing agents may inhibit the enzyme during the reaction, such as nucleic acid amplification reaction is a polymerase. 因此，本公开的稳定化还原剂可在还原反应和/或任何下游反应中提供更恒定的反应性能(并且，可能提供更高的产物产量），下游反应依赖稳定化还原剂的还原活性以使得一种或多种反应组分和/或条件可用于下游反应。 Accordingly, the present disclosure may be stabilized reducing agent in the reduction reaction and / or any downstream reaction provides a more constant reaction performance (and, potentially higher yield of product), downstream of the reaction of the reducing agent is dependent stability so that the redox active one or more reaction components and / or reaction conditions may be used downstream. 在还原反应和/或依赖稳定化还原剂的还原活性的任何下游反应过程中稳定化还原剂的还原活性可相对恒定。  The reduction reaction of reducing activity in any downstream reaction and / or dependence stabilized reducing agent redox active during stabilization of the reducing agent may be relatively constant. 例如，在还原反应和/或依赖稳定化还原剂的还原活性的任何下游反应过程中稳定化还原剂的还原活性可有至多50%、至多40%、至多35%、至多30%、 至多25%、至多20%、至多15%、至多10%、至多9%、至多8%、至多7%、至多6%、至多5%、 至多4%、至多3%、至多2%、至多1 %的变化或在反应过程中可变化更少。 For example, the reduction and / or reducing reliance on any downstream reaction active stabilization process for stabilizing the reducing agent is a reducing agent may have reduced activity at most 50%, at most 40%, at most 35%, at most 30%, at most 25% , at most 20%, at most 15%, at most 10%, at least 9%, at most 8%, at most 7%, at most 6%, at most 5%, at most 4%, at most 3%, at most 2%, at most 1% change or less during the reaction may vary. 在另一实例中，在一些情况下暴露于〇2之后，在至多约1小时、30分钟、20分钟、10分钟、5分钟、1分钟、30秒、10 秒或1秒的时间段内，稳定化还原剂的还原活性可有至多5 0 %、至多4 0 %、至多3 5 %、至多30%、至多25%、至多20%、至多15%、至多10%、至多9%、至多8%、至多7%、至多6%、至多5%、至多4%、至多3%、至多2%、至多1%的变化。 In another example, exposure to 〇2, at up to about 1 hour, 30 minutes, 20 minutes, 10 minutes, 5 minutes, 1 minute, 30 seconds, 10 seconds or 1 second time period, in some cases, stabilized reducing agent may have reduced activity of at most 50%, at most 40%, at most 35%, at most 30%, at most 25%, at most 20%, at most 15%, at most 10%, at least 9%, at most 8 %, at most 7%, up to 6%, at most 5%, at most 4%, at most 3%, at most 2%, at most 1% of the variation. 在一些情况下，在还原反应和/或依赖稳定化还原剂的还原活性的任何下游反应过程中稳定化还原剂的还原活性在反应过程中可有至多20%的变化。 In some cases, any reduction in the downstream reaction and / or dependence stabilized reducing agent reducing activity during activity stabilized reducing agent may be reduced with up to 20% change in the course of the reaction. 在一些情况下，在还原反应和/或依赖稳定化还原剂的还原活性的任何下游反应过程中稳定化还原剂的还原活性在反应过程中可有至多10%的变化。 In some cases, any reduction in the downstream reaction and / or dependence stabilized reducing agent reducing activity during activity stabilized reducing agent reduction up to 10% may have variation in the course of the reaction. 在一些情况下，在还原反应和/或依赖稳定化还原剂的还原活性的任何下游反应过程中稳定化还原剂的还原活性在反应过程中可有至多5%的变化。 In some cases, any reduction in the downstream reaction and / or dependence stabilized reducing agent reducing activity during activity stabilized reducing agent reduction up to 5% may have variation in the course of the reaction. 在一些情况下，在还原反应和/或依赖稳定化还原剂的还原活性的任何下游反应过程中稳定化还原剂的还原活性在反应过程中可有至多1 %的变化。 In some cases, any reduction in the downstream reaction and / or dependence stabilized reducing agent reducing activity during activity stabilized reducing agent may be reduced with up to a 1% change in the course of the reaction. 稳定化还原剂可具有基本上稳定的还原活性。  The reducing agent may have a substantially stabilized steady reduction activity. 在一些实例中，在一段时间内在具有可还原联建的试剂不存在而O2存在时，稳定化还原剂浓度的降低速率低于DTT、DTBA或(S)-2-氨基丁烷-I，4-二硫醇盐酸盐的浓度在该时间段内的降低速率。 In some instances, over a period of time having the joint construction of reducible agent when O2 is present and stabilized reducing agent concentration is reduced below the rate of DTT, DTBA or (S) -2- aminobutane -I absent, 4 - concentration of the hydrochloride salt of the dithiol reducing rate of the time period. 稳定化还原剂与DTT、DTBA或（S) -2-氨基丁烷-1，4_二硫醇盐酸盐相比可具有较低氧化速率。 Stabilized reducing agent DTT, DTBA or (S) -2- amino-butane dithiol -1,4_ compared hydrochloride may have a lower oxidation rate. 稳定化还原剂与DTT、DTBA或⑶-2-氨基丁烷-1，4_二硫醇盐酸盐相比对可还原键联(例如，二硫键联)可具有较高选择性。 Stabilized reducing agent DTT, DTBA or ⑶-2- aminobutane hydrochloride -1,4_ dithiol linkage may be reduced as compared to (e.g., disulfide-linked) may have a higher selectivity. 青霉胺(例如，参见图1D)，包括D-青霉胺和L-青霉胺是稳定化还原剂的实例。  Penicillamine (e.g., see FIG. 1D), including L- D- penicillamine and penicillamine are examples of reducing agents of the stable. 青霉胺呈其D和L立体异构体形式均可为反应性还原剂。 Penicillamine is in its D and L stereoisomeric forms may be a reactive reductant. 取代青霉胺的α-碳(例如，用甲基）降低了相邻硫原子的反应性。 Penicillamine α- substituted carbon (e.g., with methyl) reduces the reactivity of the adjacent sulfur atom. 硫醇基团降低的反应性容许青霉胺起还原剂的作用，其通常不具有反应性来参与可抑制依赖于还原剂的功能性的反应或另一所需反应的一个或多个副反应。 The reaction of the reduced thiol groups function as reductants to allow penicillamine, which does not typically reactive to participate in a side reaction can be suppressed or more of the reaction depends on the functionality of the reducing agent, or another desired reaction . 立体稳定化还原剂的另一实例为TCEP。 Another example of sterically stabilized reducing agent is TCEP. 此外，稳定化还原剂可起到可活化还原剂的作用。  In addition, a stabilized reducing agent may function as a reducing agent activatable. 在此类情况下，稳定化还原剂可在未活化时在还原反应的情况下通常反应性较低或无反应性。 In such cases, a case where the reducing agent can be stabilized when not activated in the reduction reaction is typically less reactive or non-reactive. 而且，可通过将稳定化、可活化还原剂(例如，或包含可活化还原剂的反应体积)暴露于一种或多种刺激来活化稳定化、 可活化还原剂。 Further, by the stabilized reducing agent may be activated (e.g., a reducing agent or a reaction volume activatable) exposed to one or more stimuli to activate the stabilized reducing agent activatable. 此类刺激的实例包括热刺激(例如，添加或去除热能如热量）、化学刺激(例如，使稳定化、可活化还原剂接触一种或多种化学活化剂)和物理刺激(例如，光）。 Examples of such stimuli include heat stimuli (e.g., addition or removal of thermal energy, such as heat), chemical irritation (e.g., to make stabilized reducing agent can activate one or more chemical activating agents) and physical stimuli (e.g., light) . 稳定化、 可活化还原剂暴露于其适当的一种或多种刺激后，还原剂可转化为活性状态。 Stabilization, it can be activated after exposure to a suitable reducing agent, one or more stimuli, the reducing agent can be converted to an active state. 在一些情况下，稳定化、可活化还原剂对刺激的暴露使还原剂的一个或多个共价键，使其变得有活性。 In some cases, stabilizing, reducing a stimulus activatable to make an exposure to a reducing agent or more covalent bonds, so that it becomes active. 稳定化、可活化还原剂可用于引发和/或控制还原反应和（在一些情况下）利用还原反应的一种或多种产物的一个或多个反应的进展。  The stabilized, the reducing agent can be used activatable initiator and / or control the reduction reaction and the progress (in some cases) using one or more products of a reduction reaction or a plurality of reaction. 在一些情况下，就反应引发和/或控制而论，稳定化、可活化还原剂可替代反应中的另一可活化物质。 In some case, a reaction initiator and / or in terms of control, stabilization, the reducing agent may alternatively activatable another reaction activatable material. 例如，在核酸扩增反应中，反应中所用的可活化聚合酶可为热启动聚合酶，由此对于合适的聚合酶功能性而言需要适当温度。 For example, the nucleic acid amplification reaction, the reaction may be used in polymerase activatable hot start polymerase, whereby the polymerase to a suitable temperature requires appropriate functional terms. 使聚合酶暴露于适当温度之后，引发了核酸扩增反应。 After exposure to a suitable temperature so that the polymerase, the nucleic acid amplification reaction initiator. 稳定的、可活化还原剂可用作热启动聚合酶的替代物用于引发核酸扩增反应。 Stable, may be used as the reducing agent activatable hot-start polymerase initiation alternative for nucleic acid amplification reaction. 在此类情况下，可以使用无热启动依赖性功能性的聚合酶。 In such cases, heat may be used without functional promoter-dependent polymerase. 还原剂活化之后，可进行还原反应和任何下游反应。 After activation of the reducing agent, the reduction reaction may be carried out and any downstream reaction. 在一些情况下，还原剂和另一试剂均可活化，例如热启动，以便更好地控制目标反应的引发和进展。 In some cases, a reducing agent and another agent can be activated, such as hot start, in order to better control the initiation and progress of the desired reaction. 图2 (图C)描绘了呈经取代的DTBA形式的稳定化、可活化还原剂的实例（图2C中的“可活化DTBA”）。  FIG. 2 (Panel C) depicts the stabilizing DTBA was substituted form, activatable example (FIG. 2C "activatable DTBA") reducing agent. 图2 (图C)中所示的经取代的DTBA可通过使DTBA与马来酸酐反应生成。 FIG substituted DTBA 2 (Figure C), may be generated by reacting maleic anhydride with DTBA. 呈其稳定化形式时，如图2 (图C)所示，由于其硫醇基团的空间受阻，经取代的DTBA通常不能够进行分子内氧化。 When the form of its stable form, FIG. 2 (panel C), since the space which is blocked thiol group, substituted DTBA generally not possible intramolecular oxidation. 另外，其硫醇基团的空间受阻还降低或抑制其作为还原剂的反应性。 Further, a space which is further hindered thiol group to reduce or inhibit its reactivity as the reducing agent. 经取代的DTBA暴露于适当温度(例如，经由加热）之后，梓康酸可从经取代的DTBA裂解(例如，经由经取代的DTBA的CN共价键的裂解）以得到活性形式的DTBA，其可在能力范围内起还原剂的作用。 After substituted DTBA exposed to an appropriate temperature (e.g., by heating), Zi mesaconic acid from substituted DTBA cleavage (e.g., via the CN substituted DTBA covalent cleavable bond) to give the active form of DTBA, which It may play a role in reducing the capacity. DTBA稳定化为经取代的DTBA可防止DTBA在其储存期间氧化为其氧化产物并且还容许其用于通过向DTBA施加热刺激而引发的受控反应中。 DTBA stabilized as substituted DTBA prevented DTBA oxidation during storage thereof and also permits its oxidation product thereof for controlled thermal stimulus is applied to the reaction caused by the DTBA. 本文提供了进行反应的方法。  Provided herein are methods for the reaction. 一方面，本公开提供了一种进行反应的方法。 In one aspect, the present disclosure provides a method of reacting. 所述反应可在包括试剂的反应体积中进行，所述试剂包括第一组分，所述第一组分通过可还原键联与第二组分偶联。 The reaction may be carried out in a reaction volume comprising a reagent, the reagent comprises a first component, said first component may be reduced by linking with the second coupling component. 反应体积还可包括稳定化还原剂(例如，可能有或无活性），其(例如，在活化之后）裂解可还原键联并且使第一组分从第二组分释放。 The reaction may also include a volume of stabilizing a reducing agent (e.g., there may or inactive), it (e.g., after activation) cleavage of reducible linkage is released from the first component and the second component. 释放的第一组分然后可参与反应。 The first component may be released and then participate in the reaction. 第一组分可包括多种不同类型的试剂或试剂组中的一种。 The first component may comprise a variety of different types of reagents or reagent groups. 例如，在某些情况下，第一组合可包含生物分子，例如蛋白质、酶、肽、小分子、抗体或抗体片段或核酸例如DNA、RNA或这些的寡核苷酸或多核苷酸部分。 For example, in some cases, the first composition may comprise biomolecules, such as proteins, enzymes, peptides, small molecules, antibodies or antibody fragments or nucleic acids such as DNA, RNA or an oligonucleotide or polynucleotide these portions. 而且，可以使用任何合适的稳定化还原剂，包括含稳定化硫醇的化合物(例如，包含空间受阻的硫醇基团如青霉胺)和/或如本文别处描述的稳定化、 可活化还原剂(例如经取代的DTBA)。 Further, any suitable reducing agent stabilization, including stabilized thiol compound (e.g., sterically hindered thiol containing groups such as penicillamine) containing and / or as described elsewhere herein stabilized, reduction may be activated agents (e.g., substituted DTBA). 另一方面，本公开提供了一种用于核酸扩增的方法。  On the other hand, the present disclosure provides a method for nucleic acid amplification. 该方法可包括在反应体积中提供试剂，其中所述试剂包含第一组分，所述第一组分通过可还原键联与第二组分偶联。 The method may include providing a reagent in the reaction volume, wherein the reagent comprises a first component, the first component may be reduced by linking with the second coupling component. 所述反应体积还包括模板核酸分子和稳定化还原剂。 The reaction volume comprising a template nucleic acid molecule and further stabilized reducing agent. 所述方法还可包括借助于稳定化还原剂裂解可还原键联(例如，从而使第一组分与第二组分去偶联)并且使用第一组分，使模板核酸分子经受扩增反应，以得到作为所述模板核酸分子扩增产物的核酸分子。 The method may further comprise stabilized by means of a reducing agent, a reducible linkage cleavage (e.g., so that the first coupling component to the second component) using the first component and the template nucleic acid molecule is subjected to amplification reaction to obtain the template nucleic acid molecule as the nucleic acid molecule amplification product. 任何合适的稳定化还原剂均可使用，包括如本文别处描述的含稳定化硫醇的化合物(例如，包含空间受阻的硫醇基团，如青霉胺）。 Any suitable reducing agent can be used in the stabilized, stabilized comprising thiol-containing compound (e.g., containing a sterically hindered thiol group such as penicillamine) as described elsewhere herein. 而且，可通过使反应体积的温度循环（例如，热循环）进行扩增反应。 Furthermore, an amplification reaction can be carried out by reacting the volume of temperature cycling (e.g., thermal cycling). 在一些情况下，所述方法还可包括测定如本文别处描述的扩增产物的至少一部分序列。 In some cases, the method may further comprise determining at least a portion of the sequence as amplification products described elsewhere herein. 对于可还原键联且在提供反应体积，裂解可还原键联和/或使模板核酸分子经受扩增反应的过程中稳定化还原剂的还原活性可相对恒定。  For reducible linkage and providing reaction volume reducible linkage cleavage and / or template nucleic acid molecules to undergo redox active during amplification reaction stabilized reducing agent may be relatively constant. 稳定化还原剂相对恒定的还原活性可导致生成低可变量的扩增产物和/或更高产量。 Stabilized relatively constant reduction activity reducing agent can lead to the formation of low variable amplification product and / or higher yield. 例如，对于可还原键联且在提供反应体积，裂解可还原键联和/或使模板核酸分子经受扩增反应的过程中稳定化还原剂的还原活性可有至多50 %、至多40 %、至多35 %、至多30 %、至多25 %、至多20 %、至多15 %、至多10%、至多9%、至多8%、至多7%、至多6%、至多5%、至多4%、至多3%、至多2%、至多1 % 的变化或可变化更少。 For example, the reduction may be provided in the linkage and the reaction volume, cracking reducible linkage and / or template nucleic acid molecule is subjected to the process of amplification reaction stabilized reducing activity reducing agent may have at most 50%, at most 40%, at most 35%, at most 30%, at most 25%, at most 20%, at most 15%, at most 10%, at least 9%, at most 8%, at most 7%, at most 6%, at most 5%, at most 4%, at most 3% , at most 2%, at most 1% change or less may vary. 在一些情况下，对于可还原键联且在提供反应体积，裂解可还原键联和/或使模板核酸分子经受扩增反应的过程中稳定化还原剂的还原活性可有至多20%的变化。 In some cases the process, and for linking reducible in volume of the reaction provided, the cleavage reducible linkage and / or template nucleic acid molecules to undergo amplification reaction stabilized reducing activity may be reduced with up to 20% variation. 在一些情况下，对于可还原键联且在提供反应体积，裂解可还原键联和/或使模板核酸分子经受扩增反应的过程中稳定化还原剂的还原活性可有至多10%的变化。 In some cases the process, and for linking reducible in volume of the reaction provided, the cleavage reducible linkage and / or template nucleic acid molecules to undergo amplification reaction stabilized reducing activity may be reduced with up to a 10% change. 在一些情况下，对于可还原键联且在提供反应体积，裂解可还原键联和/或使模板核酸分子经受扩增反应的过程中稳定化还原剂的还原活性可有至多5%的变化。 In some cases the process, and for linking reducible in volume of the reaction provided, the cleavage reducible linkage and / or template nucleic acid molecules to undergo amplification reaction stabilized reducing activity may be reduced with up to a 5% change. 在一些情况下，对于可还原键联且在提供反应体积，裂解可还原键联和/或使模板核酸分子经受扩增反应的过程中稳定化还原剂的还原活性可有至多1 %的变化。 In some cases the process, and for linking reducible in volume of the reaction provided, the cleavage reducible linkage and / or template nucleic acid molecules to undergo amplification reaction stabilized reducing agent reducing activity may have up to 1% variation. 如上所述，稳定化还原剂可具有基本上稳定的还原活性。  As described above, the reducing agent may have a substantially stabilized steady reduction activity. 在一些实例中，在一段时间内在所述试剂不存在而O2存在时，稳定化还原剂浓度的降低速率低于DTT、DTBA或⑶-2-氨基丁烷-1，4-二硫醇盐酸盐的浓度在该时间段内的降低速率。 In some instances, over a period of time when the absence of O2 agent present, the concentration of the reducing agent stabilized rate of decrease is lower than DTT, DTBA or ⑶-2- amino-1,4-dithiol hydrochloride the rate of decrease in concentration of the salt over the time period. 稳定化还原剂与DTT、DTBA 或（S) -2-氨基丁烷-1，4_二硫醇盐酸盐相比可具有较低氧化速率。 Stabilized reducing agent DTT, DTBA or (S) -2- amino-butane dithiol -1,4_ compared hydrochloride may have a lower oxidation rate. 稳定化还原剂与DTT、 DTBA或（S) -2-氨基丁烷-1，4-二硫醇盐酸盐相比对可还原键联(例如，二硫键联)可具有较尚选择性。 Stabilized reducing agent DTT, DTBA or (S) -2- amino-1,4-dithiol hydrochloride as compared to the reducible linkage (e.g., disulfide-linked) may still have a relatively selective . 另一方面，本公开提供了一种进行还原反应的方法。  On the other hand, the present disclosure provides a method of reduction reaction. 该方法可包括在反应体积中提供试剂，其中所述试剂包含第一组分，所述第一组分通过可还原键联与第二组分偶联。 The method may include providing a reagent in the reaction volume, wherein the reagent comprises a first component, the first component may be reduced by linking with the second coupling component. 所述反应体积还包括呈非活性状态的还原剂，使得所述还原剂与所述可还原键联基本上不反应。 The reaction volume was further comprises an inactive state of the reducing agent, the reducing agent so that the reducible linkage are substantially non-reactive. 所述方法还可包括使所述还原剂经受活化条件，使得所述还原剂变得与所述可还原键联有反应性并容许还原剂与可还原键联反应，从而使第一组分与第二组分去偶联。 The method may further comprise the reducing agent is subjected to an activation condition, such that the reducing agent becomes the reducible linkage reactive with a reducing agent and allowed to react with the reducible linkage such that the first component decoupling the second component. 一般而言，反应体积中的还原剂可以是呈其非活性状态的可活化还原剂，由此活化条件使可活化还原剂活化，使其与可还原键联有反应性。 In general, the reaction may be the volume of reducing agent is in its inactive state activatable reducing agent, thereby reducing the activation conditions for the activatable activation, reacted with a reducible linkage are reactive. 在一些情况下，还原剂可包含如本文别处所描述的稳定化、可活化还原剂(例如，经取代的DTBA)。 In some instances, the reducing agent may comprise stabilized as described elsewhere herein, activatable reducing agent (e.g., substituted DTBA). 在一些情况下，活化条件可包括向反应体积并因此向还原剂施加刺激。  In some cases, and thus activating conditions may include applying a stimulus to the reducing agent to the reaction volume. 如本文别处所述，此类刺激的实例包括热刺激(例如，向反应体积添加热量）、化学刺激和物理刺激。 The examples described elsewhere herein, such stimuli include thermal stimulus (e.g., heat is added to the reaction volume), chemical stimulation and physical stimulation. 在一些情况下，活化条件包括向反应体积添加热量。 In some cases, the activation conditions comprise adding heat to the reaction volume. 在一些情况下，反应体积可包括模板核酸并且方法还可包括使用第一组分，使模板核酸分子经受扩增反应以得到作为模板核酸分子扩增产物的核酸分子。  In some cases, the reaction volume can include a template nucleic acid and the method further comprises the use of a first component, a template nucleic acid molecule is subjected to amplification reaction to obtain an amplification product as a template nucleic acid molecule. 而且，所述方法还可包括测定所述扩增产物的至少一部分序列的序列。 Further, the method may further comprise a sequence at least a portion of the sequence of the amplification products was measured. 在各个方面中，第一组分可包含核酸分子，例如引物。  In various aspects, the first component may comprise a nucleic acid molecule, such as a primer. 反应体积包含模板核酸分子时，所述引物可用于扩增模板核酸分子以得到作为核酸分子扩增产物的核酸分子。 When the reaction volume comprising a template nucleic acid molecule, the primers can be used to obtain amplification of the template nucleic acid molecule as the nucleic acid molecule amplification product nucleic acid molecule. 在一些情况下，如本文别处所述，所述引物可包含可用于核酸测序的条码序列。 In some cases, as described elsewhere herein, the primers may comprise a barcode sequence may be used in nucleic acid sequencing. 用包含核酸条码的引物扩增模板核酸分子可产生包含条码序列的扩增产物(例如，参见图3)。 Amplification primer comprising a nucleic acid molecule template nucleic acid barcodes can generate an amplification product contains a bar code sequence (e.g., see FIG. 3). 在各个方面中，第二组分可包含载体组分，其可包括载体分子和/或载体颗粒。  In various aspects, the second component can comprise a carrier component, which may comprise a carrier molecule and / or carrier particles. 载体组分可包含大分子(例如大分子基质，如聚合物基质)或可以为指定反应体积中的试剂提供相对稳定性的其它组分和/或其可包含(例如)利于一些附加活性，例如跨细胞膜运输等的活性载体组分。 Carrier component may include macromolecules (e.g. matrix of macromolecules, such as a polymer matrix) or may provide relative stability of other components and / or it may comprise (e.g.) specified facilitate additional active agents in the reaction volume, e.g. active transport across cell membranes carrier component. 在一些情况下，载体组分可包含与第一组分通过可还原键联连接的颗粒或珠粒组分。 In some cases, the carrier component may comprise particles or beads linking component connected to the first component through the reducible. 例如，第一组分可包含核酸分子且第二组分可包含大分子基质，其中大分子组分可包括在颗粒或珠粒中。 For example, a nucleic acid molecule may comprise the first component and the second component can comprise a macromolecular matrix, wherein the macromolecular component may include particles or beads. 已经描述了各种不同的颗粒，一般用作试剂的载体，且尤其是生物分子，包括例如有机和无机颗粒，如琼脂糖珠粒、硅珠、聚丙烯酰胺珠粒、磁珠、铁磁珠等。 Having described various different particles, typically used as carrier agents, and in particular biological molecules, including organic and inorganic particles, such as agarose beads, silica beads, polyacrylamide beads, magnetic beads, ferrite bead Wait. 此类珠粒可包括活性位点，试剂可通过活性位点与珠粒结合或缔合。 Such beads may comprise the active site, the agent may be bound to or associated with the active site by the beads. 如本文所指出的，该键联可包括可还原键联，例如二硫键联等。 As noted herein, the linkage may comprise a reducible linkage such as disulfide bonds linking or the like. 在一些情况下，载体组分可包含聚合物颗粒或珠粒，其包含任何合适的聚合物种类的聚合物基质(包括水凝胶）。  In some cases, the carrier component may comprise polymer particles or beads, which comprise any suitable type of polymer matrix polymers (including hydrogels). 例如，聚合物颗粒或珠粒可包含聚合物基质，如交联聚丙烯酰胺(例如，交联线性聚丙烯酰胺)的基质。 For example, polymer particles or beads may comprise a polymeric matrix such as cross-linked polyacrylamide (e.g., cross-linked polyacrylamide linear) matrix. 交联聚丙烯酰胺(例如，交联线性聚丙烯酰胺)可通过可还原交键联例如二硫键联交联。 Cross-linked polyacrylamide (e.g., crosslinked linear polyacrylamide) disulfide linkage may be, for example, cross-linked by cross-linking may be reduced. 聚丙烯酰胺珠粒的实例包括例如美国专利公开案第2014/0378345号和2015年5月18日提交的美国临时专利申请第62/163,238号中描述的那些，其全部公开内容以引用的方式整体并入本文用于所有目的。 Examples include, for example, polyacrylamide beads, those of the whole, the entire disclosure of U.S. Provisional Patent Application U.S. Patent Publication No. 2014/0378345 and May 18, 2015, filed described in No. 62 / 163,238 by reference incorporated herein for all purposes. 在一些方面中，除第一组分和第二组分之间的可还原键联外，还原剂（例如，稳定化还原剂)也可裂解第二组分的可还原交键联。 In some aspects, in addition to a reducible linkage between the first and second components, the reducing agent (e.g., stabilization of the reducing agent) may also be cleavable component may be a second reducing cross-linking. 此类裂解可进一步帮助第一组分与第二组分去偶联。 Such cleavage can further help the first component and the second component decoupling. 在一个实例中，第二组分可为包含胱胺交键联的聚丙烯酰胺凝胶珠粒。 In one example, the second component may comprise cystamine cross-linked polyacrylamide gel beads. 颗粒暴露于还原剂(例如，稳定化还原剂、活化还原剂)后，胱胺的二硫键联被破坏并且颗粒可降解为其低级聚合物组分。 After the particles are exposed to reducing agent (e.g., stabilization of a reducing agent, the reducing agent activating), cystamine disulfide-linked particles is destroyed and its lower biodegradable polymer component. 在各个方面中，反应体积可包含参与反应体积的反应的酶。  In various aspects, the reaction volume may include enzymes involved in the reaction volume of the reaction. 稳定化还原剂可防止酶与还原剂的抑制性副反应，包括在相对高浓度的还原剂下。 Stabilized reducing side reactions can be prevented and the reducing agent inhibiting the enzyme, including at relatively high concentrations of reducing agent. 在一些情况下，还原剂可通过还原酶的一个或多个二硫键联来抑制酶。 In some instances, the reducing agent can be suppressed by a reductase enzyme or more disulfide bonds linking. 例如，DTT可还原聚合酶的二硫键联，使得二硫键联裂解成单独的游离硫醇基团。 For example, DTT reducible disulfide bonds linking the polymerase, such that cleavage of disulfide-linked into a single free thiol group. 取决于特定的酶，此类副反应可能是不期望的。 Depending on the particular enzyme, such side effects may be undesirable. 稳定化还原剂，例如青霉胺，可通过与酶形成二硫键联而还原酶的二硫键联，从而仅产生单个游离硫醇，而非一对硫醇。 Stabilizing reducing agent, e.g. penicillamine, may be linked by disulfide bonds formed disulfide-linked reductase enzyme, resulting in only a single free thiol, thiol instead of one pair. 稳定化还原剂的此类功能性可对酶性能产生较少可变性/较少抑制并且，因此在下游产量上产生较小可变性且下游产量更高。 Stabilized reducing agent such functionality may produce less variability on enzyme performance / inhibiting and less, and thus produce a smaller variability in the downstream of the downstream production yields higher. 发生核酸扩增反应时，酶可为参与核酸扩增反应的聚合酶。 A nucleic acid amplification reaction, the enzyme can be amplified a nucleic acid polymerase reaction involved. 聚合酶的非限制性实例包括天然和经修饰的DNA聚合酶，如Taq聚合酶、突变校正聚合酶、古细菌聚合酶，如9degrees north、Pfu、Deep Vent及这些酶的外切核酸酶缺陷形式、phi29聚合酶、Klenow等。 Non-limiting examples of polymerases include natural and modified DNA polymerases, such as Taq polymerase, a proofreading polymerase mutant, Archaea polymerases, such as 9degrees north, Pfu, Deep Vent and these enzymes exonuclease defects form , phi29 polymerase, Klenow and so on. 反应包括核酸扩增反应，例如模板核酸的扩增时，反应体积可包括适于作为扩增反应的一部分进行的引物延伸反应的组分（即，引物、一种或多种聚合酶、dNTP等）。  The reaction comprises a nucleic acid amplification reaction, for example, amplification of template nucleic acid, the reaction volume may include components suitable as primer extension amplification reaction part of the reaction (i.e., the primer, one or more polymerases , dNTP, etc.). 可完成的扩增反应的实例包括聚合酶链反应(PCR)、数字PCR、逆转录PCR、多重PCR、巢式PCR、重叠-延伸PCR、定量PCR、多重置换扩增(MDA)或连接酶链反应(LCR)及液滴内扩增（例如，数字PCR)。 Examples of amplification reaction may be accomplished include polymerase chain reaction (PCR), digital PCR, reverse transcription PCR, multiplex PCR, nested PCR, overlap - extension PCR, quantitative PCR, multiplexed displacement amplification (MDA) or ligase chain reaction (LCR) and amplification of the droplets (e.g., digital PCR). 美国专利公开案第2014/0378345号提供了扩增反应另外的实例，其全部公开内容以引用的方式整体并入本文用于所有目的。 U.S. Patent Publication No. 2014/0378345 provides a further example the amplification reaction, the present disclosure hereby incorporated in its entirety herein incorporated by reference for all purposes. 各个方面包括可以在任何合适的反应容器中提供的反应体积。  Various aspects includes a reaction volume may be provided in any suitable reaction vessel. 可容纳反应体积的反应容器的非限制性实例包括管(例如，离心管、微量离心管、小瓶、试管等）、孔、多孔板(例如，微型板)的孔、烧杯、烧瓶、微胶囊和胶束。 Non-limiting examples of reaction vessel receiving volume comprises a tube (e.g., a centrifuge tube, microfuge tubes, vials, test tubes, etc. ), pore, porous plate (e.g., microplate) hole, beakers, flasks, and microcapsules micelles. 反应容器的另一实例类型为乳液的液滴。 Another example of the type of the reaction vessel the emulsion droplets. 乳液(例如，油包水乳液、水包油乳液)可以提供多个液滴，其各自包含反应体积。 Emulsions (e.g., oil-in-water emulsion, oil in water emulsions) can provide a plurality of droplets, each comprising a reaction volume. 因此，乳液和液滴技术可容许在单一介质(例如，乳液）中同时有许多个反应体积(例如，各自具有反应体积的单独液滴)。 Thus, the emulsion droplets and many techniques can permit the simultaneous reaction volume in a single medium (e.g., an emulsion) (e.g., each having a reaction volume of individual drops). 混合两种或更多种不混溶液体，例如水和油时，可形成液滴。  The mixing of two or more immiscible liquids, such as water and oil droplets can be formed. 包含两种或更多种不混溶液体的混合物的实例为乳液，例如油包水乳液。 Examples comprise two or more immiscible liquid mixture is an emulsion, such as oil-water emulsion. 分散在小球中的第一液体可称为非连续相，而其中分散有小球的第二液体可称为连续相或分散介质。 The first liquid is dispersed in the pellets may be referred to as a discontinuous phase, and wherein the second liquid dispersion of beads may be referred to as continuous phase or dispersion medium. 在一些实例中，连续相可为疏水性流体，如油，并且非连续相可为水相溶液。 In some examples, the continuous phase may be a hydrophobic fluid, such as oil, and the discontinuous phase may be aqueous solutions. 此类混合物可视为油包水乳液，其中水性液滴分散在油连续相中。 Such mixtures may be regarded as water in oil emulsion wherein the oil droplets dispersed in a continuous aqueous phase. 在其它情况下，乳液可为水包油乳液。 In other cases, an emulsion may be oil-in-water emulsion. 在此类乳液中，非连续相可为疏水性溶液(例如，油)且连续相可为水溶液，其中油滴分散在水相中。 In such emulsions, the discontinuous phase may be a hydrophobic solution (e.g., oil) and the continuous phase may be an aqueous solution, wherein the oil droplets dispersed in the aqueous phase. 在一些实例中，乳液可包含多重乳液。 In some examples, multiple emulsion may comprise an emulsion. 多重乳液可包含包围一个或多个较小液滴的较大流体液滴(即，液滴内液滴）。 Multiple emulsion may comprise one or more smaller droplets surrounded by a larger fluidic droplets (i.e., within a droplet). 多重乳液可含一种、两种、三种、四种或更多种嵌套流体，产生越来越复杂的液滴内液滴。 Multiple emulsion may contain one, two, three, four or more nested fluid to generate increasingly complex droplets within droplets. 乳液还可包含表面活性剂。  The emulsion may also contain a surfactant. 表面活性剂可为含氟表面活性剂。 A fluorine-containing surfactant may be a surfactant. 表面活性剂可以稳定连续相内的液滴。 Surfactants may be stable droplet in the continuous phase. 用于稳定氟化油和其它油中的液滴的含氟表面活性剂的实例在美国专利公开案第2010/0105112号中有详细描述，其全部公开内容据此以引用的方式整体并入。 Examples of fluorine-containing surfactants for stabilizing droplets of fluorinated oils and other oils are described in detail in U.S. Patent Publication No. 2010/0105112, the entire disclosure of which is hereby incorporated by reference in its entirety. 在一些实例中，油包水乳液可包含本文描述的具有一种或多种表面活性剂(例如，含氟表面活性剂)的一种或多种油，其中水性液滴分散在油中。 In some examples, it may comprise a water in oil emulsion described herein having one or more surfactants (e.g., fluorosurfactants) one or more oils, wherein the aqueous droplets dispersed in oil. 液滴可通过多种方法形成。  The droplets may be formed by various methods. 在非水或油连续相中产生稳定液滴的乳化体系在例如美国专利公开案第2010/0105112号中有详细描述。 In a non-aqueous continuous phase or oil droplets to produce a stable emulsion system described in detail in, for example, U.S. Pat. No. 2010/0105112 discloses case. 在一些情况下，微流体通道网络可用于产生液滴。 In some cases, the microfluidic network of channels may be used to produce droplets. 此类微流体装置的实例包括在2015年4月9日提交的美国专利申请第14/682,952 号中详细描述的那些，所述申请的全部公开内容以引用的方式整体并入本文用于所有目的。 Examples of such devices include microfluidic incorporated herein in that manner, the entire disclosure of U.S. Patent Application April 9, 2015, filed Serial No. 14 / 682,952 which application is described in detail by reference for all purposes . 液滴可以规则周期性形成或者可以不规则的周期性形成。 The droplets may be periodically or irregularly formed regular periodic formation. 在一些方面中，液滴的大小和/或形状可由在其中形成液滴的通道的大小和形状决定。 In some aspects, the droplet size and / or shape determined by the size and shape of the droplets formed in the channel. 在一些实例中，液滴通常通过以下方式产生:使水性液流(例如，包含反应体积的组分如试剂和还原剂(稳定化还原剂等)）流入微流体系统的两个或更多个通道的接合处， 非水流体液流(例如，氟化油)也流入接合处，以便在非水性流体的流动液流中产生液滴。  In some instances, the droplet typically produced by way of: an aqueous stream (e.g., reaction volume containing reagent components and a reducing agent (reducing agent stabilization)) flows into the microfluidic system or two joint more channels, the non-water bodily fluid flow (e.g., fluorinated oil) flows into the joint, in order to produce the flow stream of droplets of the non-aqueous fluid. 液滴内容物包含水性内部，其包含反应体积。 Aqueous droplets comprise an inner content, comprising the reaction volume. 可通过控制体系的多个不同参数，包括例如，水性液流中物质的浓度、水性液流和/或非水液流的流速等来调节液滴内物质的相对量。 By controlling a plurality of different systems parameters, including, for example, the concentration of the substance in an aqueous stream, aqueous stream and / or flow rate of liquid flow relative to the amount of droplets like substance adjusted. 液滴的总体积可小于100(^1^、小于90(^1^、小于80(^1^、小于70(^1^、小于60(^1^、小于500pL、小于400pL、小于300pL、小于200pL、小于100pL、小于50pL、小于20pL、小于IOpL或甚至小于lpL。液滴可为单分散性(S卩，大小基本上均匀)或多分散性(S卩，大小基本上不均匀）。 可产生多个液滴。  The total volume of the droplet may be less than 100 (^ 1 ^, less than 90 (^ 1 ^, less than 80 (^ 1 ^, less than 70 (^ 1 ^, less than 60 (^ 1 ^, less than 500 pL, less than 400pL, less than 300 pl, less than 200 pL, less than 100 pL, less than 50 pL, less than 20 pL, or even less than less than IOpL lpL. monodisperse droplets (S Jie, substantially uniform size) or polydispersity (S Jie, size substantially uniform) may be generated a plurality of droplets. 取决于特定的乳液，乳液可包含不同数量的液滴。  Depending on the particular emulsion, the emulsion may contain a different number of drops. 例如，乳液可包含至少10个液滴、至少50个液滴、至少100个液滴、至少500个液滴、至少1000个液滴、至少5000个液滴、至少10,000个液滴、至少50,000个液滴、至少100,000个液滴、至少500,000个液滴、至少1， 000，000个液滴、至少5，000，000个液滴、至少10，000，000个液滴、至少50，000，000个液滴、 至少100，000,000个液滴及以上。 For example, the emulsion may comprise droplets of at least 10, at least 50 drops, droplets of at least 100, at least 500 droplets, droplets of at least 1000, at least 5000 drops, droplets of at least 10,000, at least 50,000 droplets, droplets of at least 100,000, at least 500,000 droplets, at least 1, 000,000 droplets, droplets of at least 5,000,000, at least 10,000,000 droplets, at least 50,000, 000 drops, droplets of at least 100,000,000 and above. 本文描述的稳定化还原剂可用于样品制备以进行核酸测序。  The stabilized reducing agent described herein may be used to prepare the sample for nucleic acid sequencing. 此类还原剂可用于控制可产生测序文库的核酸扩增反应。 Such reducing agents may be used to control a nucleic acid amplification reaction sequencing library. 在一些情况下，可产生核酸分子文库，其中该文库包含多个液滴或其它类型的包含核酸分子的分区。 In some cases, a nucleic acid molecule libraries may be generated, wherein the library comprises a plurality of droplets or other types of partitions comprises a nucleic acid molecule. 制备分区内的核酸分子文库的实例详细提供于例如，美国专利公开案第2014/0378345号、2014年6月26日提交的美国临时专利申请第62/017，808号和2015年1月12日提交的美国临时专利申请62/102,420中，其全部公开内容以引用的方式整体并入用于所有目的。 Examples of nucleic acid molecule libraries prepared partition provided in detail in, for example, U.S. Patent Publication No. 2014/0378345, U.S. Provisional Patent Application 26 June 2014 No. 017,808 filed on 62 and 12 January 2015 / U.S. provisional Patent application No. filed 62 / 102,420, the entire contents of the disclosure is incorporated by reference in its entirety for all purposes. 当核酸分子文库包含多个具有核酸分子的液滴时， 可以使所述多个液滴去稳定化，从而使核酸分子从所述多个液滴释放到公共库中。 When a nucleic acid molecule library comprises a nucleic acid molecule having a plurality of droplets, the plurality of droplets may be destabilizing, such that the nucleic acid molecules released from the plurality of droplets to a common repository. 释放的核酸分子(例如，靶核酸分子)可从公共库中回收/纯化。 Releasing nucleic acid molecule (e.g., a target nucleic acid molecule) can be recovered / purified from the public library. 适于纯化液滴内容物(包括核酸）的纯化方法详细提供于2015年2月24日提交的美国临时专利申请第61/119，930号中，其全部公开内容以引用的方式整体并入本文用于所有目的。 Purification methods suitable for purification droplet content (including nucleic acids) is provided in detail in U.S. Provisional Patent Application 24 February 2015, it filed Serial No. 61 / 119,930, the entire contents of the disclosure herein incorporated by reference in its entirety for all purposes. 纯化的核酸分子可任选地进行如本文别处所述的进一步加工并进行测序，由此可以测定纯化核酸分子(或经进一步加工的纯化核酸分子)的至少一个子集的序列。 Purified nucleic acid molecule may optionally be further processed as described elsewhere herein and sequenced, whereby the sequence of the purified nucleic acid molecule can be determined (further processed or purified nucleic acid molecule) at least one subset. 可通过任何合适类型的测序平台，包括本文别处描述的实例平台来进行测序。 It may include the examples described elsewhere herein platform sequenced by any suitable type of sequencing platform. 图3示出了可在液滴(例如，具有反应体积）中进行并且可用于在多个液滴中产生核酸测序文库的扩增反应的实例。  FIG. 3 shows a droplets may be (e.g., having a reaction volume) and can be used for example in generating a nucleic acid amplification reaction in the sequencing library of a plurality of droplets. 在该实例中，包括条码序列的寡核苷酸连同样品核酸304 一起共同分隔在乳液中的液滴302内。 In this example, the bar code comprising a sequence of a nucleic acid sample oligonucleotide together with the common partition 304 within the emulsion droplets 302. 寡核苷酸308可通过可还原键联(例如，二硫键联)与珠粒306偶联，该珠粒可随样品核酸304—起分隔，如图A所示。 Oligonucleotides 308 via reducible linkage (e.g., disulfide-linked) 306 coupled to a bead, the beads can be separated from nucleic acid with the 304- sample, as shown in Figure A. 珠粒306还可包含通过可还原键联(例如，二硫键联)交联的交联聚丙烯酰胺的聚合物基质，可还原键联可能是或可能不是连接寡核苷酸308与珠粒306的相同可还原键联。 Beads 306 may further comprise a reducible linkage via (e.g., disulfide-linked) crosslinked polyacrylamide crosslinked polymer matrix, reducible linkage may or may not be connected to an oligonucleotide 308 and the beads 306 is the same as reducible linkage. 除一个或多个功能序列，例如序列310、 314和316外，寡核苷酸308还包括条码序列312。 In addition to one or more functional sequences, such as sequences 310, 314 and 316, the oligonucleotides 308 312 further comprises a barcode sequence. 例如，将寡核苷酸308显示为包含条码序列312,以及序列310,其可起到指定测序系统的附着或固定序列的作用，例如用于附着于Illumina Hiseq或Miseq系统中的流动室的P5序列。 For example, the oligonucleotide sequence contains a bar code 308 is shown as 312, 310 and the sequence, which may function attached or fixed sequences specified sequencing system, e.g. for attachment to P5 Illumina Hiseq Miseq system or a flow chamber sequence. 如图所示，寡核苷酸308还包括引物序列316,其可包括用于引发部分样品核酸304复制的随机或靶向N-聚体。 As shown, the oligonucleotide primer sequence further comprising 308 316, which may include a nucleic acid portion of the sample 304 for initiating replication N- mer random or targeted. 在寡核苷酸308中还可包括序列314,其可提供测序引发区，如“readl”或Rl引发区，引发区可用于通过测序系统中的合成反应而引发聚合酶介导的、模板引导的测序。 Oligonucleotide further comprises a sequence 308 314, which provides sequencing priming region, such as "readl" or Rl initiation region, by sequencing initiation region may be used in the synthesis reaction system initiated polymerase-mediated, template-directed sequencing. 在许多情况下，条码序列312、固定序列310和Rl序列314可为附着于指定珠粒的所有寡核苷酸共有。 In many cases, bar code sequences 312, 310 and the fixed sequence may be 314 nucleotides Rl sequences common to all the oligonucleotides attached to beads specified. 引物序列316对于随机N-聚体引物而言可以变化，或者可为用于某些靶向应用的指定珠粒上的寡核苷酸所共有的。 Primer sequences for the 316-mer random primer N- terms may vary or may be used on a given bead oligonucleotide targeting certain common applications. 液滴302还可包括稳定化还原剂330。  The droplets 302 may also include stabilizing reductant 330. 在一些情况下，稳定化还原剂330可呈活性状态(例如，青霉胺），以致其可以还原寡核苷酸308和珠粒306之间的可还原键联(例如，二硫键联)和/或珠粒306的任何可还原交键联(例如，二硫键联）。 In some cases, the reductant 330 can be stabilized in an active state (e.g., penicillamine), so that it can restore the oligonucleotide reducible linkage (e.g., disulfide-linked) between beads 308 and 306 and / or bead 306. any cross-linking may be reduced (e.g., disulfide-linked). 偶联的寡核苷酸308和珠粒306 可在其可还原键联被稳定化还原剂330裂解之后去偶联。 Oligonucleotide conjugated beads 308 and 306 may be coupled to it after a reducible linkage 330 is stabilized reducing agent cleavage. 去偶联的寡核苷酸然后可作为引物参与扩增样品核酸304的扩增反应(例如，图3B-F，如本文所述）。 Conjugated to oligonucleotides as primers may then be amplified samples involved in nucleic acid amplification reaction (e.g., FIGS. 3B-F, as described herein) 304. 稳定化还原剂330的还原活性在还原可还原键联和/或进行扩增反应的过程中可相对恒定。  330 activity stabilized reducing agent in the process of reducing a reducible linkage and / or amplification reaction may be relatively constant. 稳定化还原剂相对恒定的还原活性可在扩增产物328产量上产生较小可变性且扩增产物328产量更高。 Stabilized reducing agent may be relatively constant reducing activity and produce smaller variability amplification product in higher yield 328 328 Yield amplification product. 例如，在寡核苷酸308与珠粒306去偶联和/或在扩增反应中扩增样品核酸304的过程中，稳定化还原剂330的还原活性可有至多50 %、至多40 %、至多35 %、至多30%、至多25%、至多20%、至多15%、至多10%、至多9%、至多8%、至多7%、至多6%、至多5%、至多4%、至多3%、至多2%、至多1%的变化或者可变化更少。 For example, the process of nucleic acid amplification in a sample with an oligonucleotide 308 coupled to beads 306 and / or 304 in the amplification reaction, the reducing activity stabilized reducing agent 330 may have at most 50%, at most 40%, at most 35%, at most 30%, at most 25%, at most 20%, at most 15%, at most 10%, at least 9%, at most 8%, at most 7%, at most 6%, at most 5%, at most 4%, at most 3 %, at most 2%, at most 1% change or less may vary. 在一些情况下，在寡核苷酸308与珠粒306去偶联和/或在扩增反应中扩增样品核酸304的过程中，稳定化还原剂330的还原活性可有至多20%的变化。 In some cases, the process 308 oligonucleotide coupled to the beads 306 and / or amplifying a nucleic acid sample in an amplification reaction 304, 330 stabilize the active reducing agent may have up to 20% change . 在一些情况下，在寡核苷酸308与珠粒306去偶联和/ 或在扩增反应中扩增样品核酸304的过程中，稳定化还原剂330的还原活性可有至多10%的变化。 In some cases, the process 308 oligonucleotide coupled to the beads 306 and / or amplifying a nucleic acid sample in an amplification reaction 304, 330 stabilize the active reducing agent may have up to a 10% change . 在一些情况下，在寡核苷酸308与珠粒306去偶联和/或在扩增反应中扩增样品核酸304的过程中，稳定化还原剂330的还原活性可有至多5%的变化。 In some cases, the process 308 oligonucleotide coupled to the beads 306 and / or amplifying a nucleic acid sample in an amplification reaction 304, 330 stabilize the active reducing agent may have up to 5% change . 在一些情况下，在寡核苷酸308与珠粒306去偶联和/或在扩增反应中扩增样品核酸304的过程中，稳定化还原剂330 的还原活性可有至多1 %的变化。 In some cases, the process 308 oligonucleotide coupled to the beads 306 and / or amplifying a nucleic acid sample in an amplification reaction 304, 330 stabilize the active reducing agent may have at most 1% change . 在一些情况下，稳定化还原剂330可以是最初呈非活性状态存在于液滴302中的稳定化、可活化还原剂。  In some cases, the reductant 330 can be stabilized initially in an inactive state in the stabilization of the droplet 302, the reducing agent can be activated. 例如，稳定化还原剂330可以是经取代的DTBA，例如图2 (图C)所示那种。 For example, the reducing agent 330 may be stabilized substituted DTBA, as shown in FIG. 2 (panel C) kind. 液滴302可暴露于热刺激(例如，向液滴302添加热能如加热）以便使柠康酸从经取代的DTBA裂解并且得到活性DTBA还原剂。 Droplets 302 may be exposed to a thermal stimulus (e.g., heat energy is added 302 to the droplet heating) so as citraconic acid cleaved from substituted DTBA and reducing agent to give an active DTBA. 寡核苷酸308与珠粒306之间的可还原键联为二硫键联时，则活性DTBA还原剂可还原寡核苷酸308与珠粒306之间的可还原键联。 Oligonucleotide between the beads 308 and 306 when the reducible disulfide linkage linking the active reducing agent may be reduced DTBA oligonucleotide reducible linkage between the beads 308 and 306. 如果珠粒306也包含二硫化物交键联，则活性DTBA也可还原这些键联。 If 306 beads contain disulfide cross-linkages, the activity of these linkages may also be DTBA reduction. 偶联的寡核苷酸308和珠粒306可在其可还原键联被稳定化还原剂裂解之后去偶联。 Oligonucleotide conjugated beads 308 and 306 may be coupled to it after a reducible linkage are cleaved stabilized reducing agent. 去偶联的寡核苷酸然后可作为引物参与扩增样品核酸304的扩增反应(例如，图3B-F，如下文所述）。 Conjugated to oligonucleotides as primers may then be involved in nucleic acid amplification reaction to amplify the sample 304 (e.g., FIGS. 3B-F, as described below). 如图3所示，可通过图A中稳定化还原剂330的活化来发挥对图BF所示扩增反应的控制和引发。  As shown in FIG. 3, the reducing agent can be stabilized by the activated 330 exerts control in panel A of FIG BF initiation and amplification reaction. 如图3的图BF所示的扩增通常在寡核苷酸308从珠粒306释放之后才开始。 As shown in FIG. 3 BF amplification oligonucleotides shown generally at 308, after the beads 306 from the release began. 而且，使用稳定化、可活化还原剂可减少或消除使用另一可活化组分来引发/控制扩增反应的任何需要。 Further, the use of stabilized activatable reducing agent may reduce or eliminate the use of another component may be activated in any desired initiator / control amplification reaction. 例如，使用图2C所示的经取代的DTBA可充当热启动聚合酶的可活化替代物，热启动聚合酶也可用于引发/控制扩增反应。 For example, substituted DTBA shown in FIG. 2C may act as a hot-start polymerase activatable alternative, hot-start polymerases can also be used to initiate / control amplification reaction. 在寡核苷酸308从珠粒306释放之后，可进行扩增反应。  After the oligonucleotide is released from the beads 308 306, an amplification reaction can be carried out. 基于引物序列316的存在， 去偶联的寡核苷酸308能够引发如图B所示的样品核酸，这允许使用聚合酶（例如，Deep Vent聚合酶、9degrees North聚合酶）和也随珠粒306和样品核酸304共同分隔的其它延伸试剂来延伸寡核苷酸308和308a。 Based on the presence of the primer sequence 316, coupled to an oligonucleotide capable of initiating the sample 308 shown in FIG nucleic B, which allows the use of a polymerase (e.g., Deep Vent polymerase, 9degrees North polymerase) and also with beads 304 306 and sample nucleic acids other common partition extending agents to extend the oligonucleotides 308 and 308a. 如图C所示，在对于随机N-聚体引物而言，可退火为样品核酸304的多个不同区域的寡核苷酸延伸之后，产生核酸的多个重叠互补序列或片段，例如片段318和320。 C, the after randomization N- mer primers, the oligonucleotides can be annealed a plurality of different regions of a nucleic acid sample to extend 304, a plurality of overlapping complementary sequence of a nucleic acid or fragment thereof, e.g. a fragment 318 and 320. 虽然包括与部分样品核酸互补的序列部分，例如序列322和324,但本文通常将这些构建体称为包含样品核酸304的具有附着条码序列的片段。 Although the portion of the sample comprises a nucleic acid sequence portion complementary to such sequences 322 and 324, but these constructs herein generally referred to as the fragment has the barcode attached to the sample comprising a nucleic acid sequence 304. 正如可以认识到的那样，本文常常将如上所述的模板序列的复制部分称为该模板序列的“片段”。 As can be appreciated as described herein often replicated portion of the template sequence as described above is referred to "fragment" the template sequence. 然而，尽管如此，但术语“片段”涵盖起始核酸序列的一部分的任何表示，例如模板或样品核酸，包括通过提供部分模板序列的其它机制，例如指定序列分子的实际片段化，例如通过酶、化学或机械片段化产生的那些。 Any portion of Despite this, however, the term "fragment" encompasses starting nucleic acid sequence, said nucleic acid sample or template, for example, through other mechanisms including portions of the template sequence, for example, specify the actual sequence of a fragment of the molecule, such as by an enzyme, those chemical or mechanical fragmentation produced. 然而，在一些情况下，模板或样品核酸序列的片段可以指基础序列或其互补序列的复制部分。 However, in some cases, fragments of the template nucleic acid sequence or sample copy may refer to part of the base sequence or its complementary sequence. 然后可以使条码化核酸片段经受(例如)通过序列分析的表征，或可在如图D所示的过程中使其进一步扩增。  The bar code may then be subjected to a nucleic acid fragment (e.g.) characterized by sequence analysis, or it may be further expanded in the process D shown in FIG. 例如，也从珠粒306释放的附加寡核苷酸，例如寡核苷酸308b，可引发片段318和320。 For example, additional oligonucleotides from nucleotide 306 to release the beads, for example, an oligonucleotide 308b, 318 and 320 can cause fragments. 同样，基于寡核苷酸308b中随机N-聚体引物316b (其在许多情况下可不同于指定液滴内的其它随机N-聚体，例如引物序列316)的存在，寡核苷酸随片段318退火， 并且可延伸以产生包括序列322的至少一部分片段318的互补序列326,序列322包含一部分样品核酸序列的副本。 Similarly, oligonucleotides based 308b N- mer random primer 316b (which in many cases may be different from other random N- mer specified in droplets, e.g. primer sequence 316) is present, with the oligonucleotides fragments anneal 318, and may extend to yield a sequence comprising at least a portion 322 of the segment 318 is complementary to the sequence 326, the sequence 322 contains a copy of a portion of a sample nucleic acid sequence. 寡核苷酸308b的延伸继续，直至其复制通过片段318的寡核苷酸部分308。 Extending the oligonucleotide 308b continues, until the replication by oligonucleotide fragment 318 nucleotide portion 308. 如本文别处所指出的那样，并且如图D中说明的那样，寡核苷酸可配置为促进在所需点停止通过聚合酶复制，例如，复制通过片段318中所包括的寡核苷酸308的序列316和314之后。 As noted elsewhere herein, and as illustrated in Figure D, the oligonucleotides may be configured to facilitate the desired stopping point copying by a polymerase, e.g., by copying segments 318 included oligonucleotides 308 the sequence after 316 and 314. 这可通过不同方法实现，包括例如，并入不能够通过所用聚合酶加工的不同核苷酸和/ 或核苷酸类似物。 This can be achieved by various methods, including, for example, can not be incorporated by different nucleotides and / or nucleotide analogues used in the processing of the polymerase. 例如，这可包括在序列区域312内包括含尿嘧啶的核苷酸以防止非尿嘧啶耐受的聚合酶中止该区域的复制。 For example, this may be included within the sequence region comprising nucleotides 312 to prevent non-uracil containing uracil abort tolerance polymerase replication of the region. 因此可产生片段326,其在一端包括全长寡核苷酸308b， 包括条码序列312、附着序列310、R1引物区314和随机N-聚体序列316b。 Thus fragments may be generated 326, which includes a full length oligonucleotide end 308b, 312 includes a serial bar code, attached to sequence 310, R1 and random primer region 314 N- mer sequence 316b. 在该序列的另一端可包括第一寡核苷酸308的随机N-聚体的互补序列316'，以及整个或部分Rl序列的互补序列（显示为序列314'）。 At the other end 316 of the sequence may comprise a sequence complementary to the first oligonucleotide N- random 308-mer ', and a sequence complementary to all or part of Rl sequence (sequence shown as 314'). 然后Rl序列314及其互补序列314'能够杂交在一起形成呈局部发夹结构328的条码化核酸分子。 Then Rl sequence complementary sequences 314 and 314 'are capable of hybridizing together to form a partial hairpin structure as a nucleic acid molecule 328 of the bar code. 正如可以认识到的那样，因为随机N-聚体在不同寡核苷酸中不同，所以可预计这些序列及其互补序列不会参与发夹形成，例如可预计为随机N-聚体316的互补序列的序列316'与随机N-聚体序列316b不互补。 As may be appreciated that, since the random-mer N- vary in different oligonucleotide, it can be expected that these will not participate in sequence and its complement form a hairpin, for example, it is expected to complement a random 316-mer N- sequence 316 'and the random sequence 316b N- mer not complementary. 这对于其它应用而言可能并非如此， 例如靶向引物，其中N-聚体是指定液滴内寡核苷酸间共有的。 This may not be true for other applications, such as targeting primers, N- mer oligonucleotide specifying the consensus between nucleotides droplets. 通过形成这些局部发夹结构328，允许从进一步复制中去除样品序列的一级副本，例如防止拷贝的反复拷贝。 328, allows for removal of a sample copy of further replication sequence formed by these local hairpin structures, for example to prevent the repeated copying of the copy. 局部发夹结构还为所产生的片段(例如，片段326)的后续加工提供了有用的结构。 Partial hairpin structure also provides useful fragments generated by structure (e.g., fragments 326) subsequent processing. 正如可以认识到的那样，图3中描绘的示例扩增方案可在任何合适类型的分区，包括非液滴分区，例如微胶囊、孔(例如，微孔）、聚合物胶囊、微反应器、胶束等中完成。  As may be appreciated that, in the example depicted in FIG. 3 in the amplification protocol may be any suitable type of partition, the partition including a non-droplet, e.g. microcapsules, hole (e.g., microporous), a polymer, microcapsules reactor, micelles and the like is completed. 可在液滴或其它类型的分区内进行的扩增反应的附加实例，包括可用于产生用于测序的核酸文库的扩增反应，在2015年1月12日提交的美国临时专利申请第62/102,420中提供，该申请以引用的方式整体并入本文用于所有目的。  Additional examples of amplification reactions may be carried out in a droplet or other types of partitions, including an amplification reaction may be used to generate the library for nucleic acid sequencing, and in U.S. Provisional Patent January 12, 2015, filed 62 / 102,420 is provided, which application is incorporated by reference in its entirety herein for all purposes. 用于产生条码化核酸分子的扩增过程，例如图3中描绘的示例方法可对多个液滴并行进行。  Process for the production of the amplified nucleic acid molecules of the bar code, for example, the example method depicted in FIG. 3 may be parallel to the plurality of droplets. 来自多个不同液滴的片段可汇集(例如，通过收集液滴并且使本文别处所述的乳液去稳定化）以产生用于在高通量测序仪上测序的测序文库。 Fragments from a plurality of different droplet may together (e.g., by collecting the emulsion droplets and elsewhere herein, the destabilizing) sequencing to produce sequencing library for high-throughput sequencing. 因为每个片段按照其来源的液滴编码，所以可根据条码的存在将该片段的序列归结回其来源。 Because each droplet fragment encoding according to its source, so that the sequence fragments can be attributed back to its origin according to the presence of the bar code. 释放液滴的内容物可涵盖释出液滴内容物的任何方法。  The release of the contents of droplets may encompass any method of releasing the contents of the droplets. 释放方法的非限制性实例包括破坏液滴表面，使液滴多孔以便内容物可以扩散出液滴，并且使液滴所在的乳液去稳定化。 Non-limiting examples of release method comprises disrupting the droplet surface, the droplets so that the content may be porous diffusion out of the droplets, and the droplets of the emulsion destabilization is located. 乳液可与引起液滴去稳定化并聚结的去稳定剂混合。 The emulsion may cause destabilization and coalescence of the droplets and to stabilizers. 去稳定剂可以是诱导乳液的液滴相互聚结的任何试剂。 Destabilizing agent may be any agent emulsion droplets induce coalescence another. 去稳定剂可按有效诱导聚结的量存在，其中可基于乳液的体积、乳液中载液的体积和/或液滴的总体积来选择。 Destabilizing agent may be an amount effective to induce coalescence is present, the volume in which the volume of the emulsion, the emulsion-based carrier liquid and / or the total volume of the droplet is selected. 也可或可选地基于(例如)连续相流体的类型、 每一相中表面活性剂的量和类型等来选择。 Or alternatively may be based on (for example) the type of the continuous phase fluid, the amount of each phase and the type of surfactant selected. 在一些情况下，去稳定剂可为弱表面活性剂。 In some cases, the destabilizing agent can be a weak surfactant. 不希望受理论约束，弱表面活性剂可与油/水界面处引起乳液毁坏的液滴表面活性剂竞争。 Without wishing to be bound by theory, the surfactant can cause weak surfactant Competitive emulsion droplets and destroy the oil / water interface. 在一些情况下，去稳定剂可为全氟辛醇(PFO)，然而，可以使用具有小亲水基团的其它氟化合物。 In some cases, the destabilizing agent can be perfluorooctanol (PFO), however, other fluorine compounds having a hydrophilic group is small. 去稳定剂的其它实例包括一种或多种卤素取代的烃。 Other examples of destabilizing agents include one or more halogen-substituted hydrocarbons. 在一些情况下，去稳定剂可主要或至少基本上由一种或多种卤素取代的烃组成。 In some cases, the destabilizing agent may primarily or at least substantially of one or more halogen-substituted hydrocarbons. 去稳定剂另外的实例在美国专利公开案第2013/018970号和2015年2月24日提交的美国临时专利申请第62/119,930号中提供，其全部公开内容以引用的方式并入本文用于所有目的。 Further examples of destabilizing agents provided in U.S. Provisional Patent Application U.S. Patent Publication No. 2013/018970 and February 24, 2015, filed on 62 / No. 119,930, the entire contents of the disclosure is incorporated herein by reference for the all purposes. 液滴的聚结可导致产生包含液滴内容物(例如，液滴内所含反应体积的内容物）的汇集混合物(例如，公共库）。  The coalescence of the droplets can result in a mixture together (e.g., the public library) to produce droplets comprising the contents (e.g., contents of the reaction volume contained in droplets) of. 液滴是油包水乳液中的水性液滴时，汇集混合物可包含具有包括在液滴内产生的条码化核酸分子的多个反应体积的内容物的水性混合物。 When the oil droplets are water droplets of an aqueous emulsion, an aqueous mixture may comprise a mixture together with the reaction volume comprises a plurality of nucleic acid molecules generated barcode within the droplets of the contents. 液滴最初分散在其中的连续相(例如，油)物质、连续相中的表面活性剂和/或任何去稳定剂可通过纯化汇集混合物中的核酸而去除。 Initially droplets dispersed in a continuous phase therein (e.g., oil) substance, a surfactant continuous phase and / or any destabilizing agent can be removed by purification of the mixture of nucleic acids together. 适于从液滴纯化核酸分子的纯化方法的实例在2015年2月24日提交的美国临时专利申请第62/119,930号中有详细描述，其全部公开内容以引用的方式并入本文用于所有目的。 Examples of purification methods adapted from the purification of a nucleic acid molecule droplets are described in detail in U.S. Provisional Patent Application 24 February 2015, filed on 62 / No. 119,930, the entire contents of the disclosure is incorporated herein by reference for all purpose. 已经从液滴中回收并纯化的条码化核酸分子可进行进一步加工和/或分析。  have been recovered from the droplets and purified nucleic acid molecule may be the bar code further processing and / or analysis. 例如， 从液滴中回收的条码化核酸分子可进一步扩增，例如在PCR反应或其它类型的扩增反应中。 For example, the bar code recovered from the droplets can be further amplified nucleic acid molecules, for example, in a PCR reaction or other type of amplification reaction. 在回收的条码化核酸分子最初少量存在且更大拷贝数量对下游测序分析有帮助时，此类扩增可能有用。 When the bar code in the recovered nucleic acid molecules originally present in small amounts and a greater number of copies of downstream sequence analysis useful, such amplification may be useful. 而且，也可完成此类扩增反应以向回收的条码化核酸分子添加一个或多个附加序列（例如，添加附加核苷酸）。 Further, such an amplification reaction can also be done to add one or more additional sequence to the recovered nucleic acid molecule of the bar code (e.g., adding additional nucleotides). 此类附加序列可引起更大核酸分子的产生并且所述一个或多个添加的序列可以是一个或多个功能序列。 Sequence of such additional sequence can cause greater nucleic acid molecule and the one or more may be added one or more functional sequence. 此类功能序列的非限制性实例包括标签、 附加条码序列、与测序仪器/方案序列相容性的适配子序列（例如，P5、P7 Illumina适配子序列）、测序引物结合位点、样品指数序列等。 Non-limiting examples of such functional sequences include tags, an additional bar code sequence, and sequencing instrument / solution compatibility aptamer sequence (e.g., P5, P7 Illumina aptamer sequence), a sequencing primer binding site, the sample index series and so on. 通过扩增反应(包括本体扩增反应）向核酸分子添加附加序列的实例在美国专利公开案第2014/0378345号和2015年1月12日提交的美国临时专利申请第62/102,420号中提供，其全部公开内容以引用的方式整体并入本文用于所有目的。 Examples of additional sequence is provided in U.S. Patent Publication No. 2014/0378345 and U.S. Provisional Patent Application January 12, 2015, filed No. 62 / 102,420 by the amplification reaction (including bulk amplification reaction) was added to a nucleic acid molecule, the entire disclosure of which is incorporated herein by reference in its entirety for all purposes. 在一些情况下，可通过连接过程向条码化核酸分子添加一个或多个附加序列以产生然后可以测序的较大条码化核酸分子。  In some cases, to add one or more additional bar code sequence to produce a larger nucleic acid molecules may then be sequenced by a joining process to the bar code of a nucleic acid molecule. 在一些情况下，靶核酸分子可进行剪切过程以便产生靶核酸分子适合与附加核酸序列连接的一个或多个末端。 In some cases, the target nucleic acid molecule may be a shearing process to produce the one or more target nucleic acid molecules end adapted to be connected with the additional nucleic acid sequence. 附加核酸序列可包含本文描述的任何功能序列中的一个或多个。 Any one or more additional functional sequence may comprise a nucleic acid sequence described herein in. 可用于向核酸分子添加附加序列的剪切和连接方法的实例在2015年1月12日提交的美国临时专利申请第62/102,420号中详细提供，其全部公开内容以引用的方式整体并入本文用于所有目的。 Examples can be used to add additional cutting and connection to a nucleic acid molecule sequences provided in detail in U.S. Provisional Patent Application January 12, 2015, filed Serial No. 62 / 102,420, incorporated herein in its entirety by reference in the present disclosure content for all purposes. 向条码化核酸分子添加附加序列之后，可以扩增产生的较大序列以提供更大拷贝数。 After addition of additional nucleic acid molecules the sequence of the bar code, it can be amplified to produce larger sequence to provide greater copy number. 剪切、连接和任何后续扩增可大量进行。 Shear, and any subsequent amplification can be connected to be large. 条码化核酸分子(可以或可以不进一步加工和/或纯化)或已经向其添加了一个或多个附加序列的条码化核酸分子可进行核酸测序，由此可测定条码化核酸分子或较大条码化核酸分子的序列。  Barcode nucleic acid molecule (which may or may not be further processed and / or purified) or has added thereto one or more nucleic acid molecules barcode sequence may be additional nucleic acid sequencing, whereby the bar code can be determined or the nucleic acid molecule barcode sequences of larger nucleic acid molecules. 向条码化核酸分子添加附加功能序列在制备用于测序的条码化核酸分子中有用。 Barcode useful for sequencing nucleic acid molecules prepared in add additional functionality to the sequence of a nucleic acid molecule barcode. 可为任何合适的测序平台制备条码化核酸分子并测序，向条码化核酸分子添加的适当功能序列取决于所利用的特定平台。 Platform-specific function sequences may be suitably prepared nucleic acid molecule of any bar code suitable sequencing platforms and sequenced, the bar code added to nucleic acid molecules depends utilized. 可通过任何合适类型的测序平台进行测序，非限制性实例包括Illumina、Ion Torrent、Pacific Biosciences SMRT、Roche 454测序、 SOLiD测序等。 Can be sequenced, non-limiting examples include Illumina, Ion Torrent, Pacific Biosciences SMRT, Roche 454 sequencing, the SOLiD sequencing, sequencing by any suitable type of internet. 正如可以认识到的那样，从核酸分子获得的序列可组装成较大序列，核酸分子的序列源于较大序列。 As can be appreciated, that the sequence obtained from a nucleic acid molecule may be assembled into a larger sequence, a nucleic acid molecule derived from the larger sequence. 一般而言，测序平台利用一种或多种算法来解释测序数据并且由较短核酸测定的序列来重新构建较大序列，包括本文所述的条码化核酸分子(例如，图3中的328)。 In general, sequencing platform using one or more algorithms to interpret the data and sequencing a nucleic acid assay by a short sequence to reconstruct the larger sequence, including those described herein barcode nucleic acid molecules (e.g., in FIG. 3 328) . 序列组装过程的实例在2014年6月26日提交的美国临时专利申请第62/017,589号中更加详细地提供，其全部内容以引用的方式并入本文用于所有目的。 Examples of the sequence of the assembly process in U.S. Provisional Patent June 26, 2014, filed 62 / 017,589 No. provide more detail, how the content in its entirety is incorporated by reference herein for all purposes. 正如可以认识到的那样，稳定化还原剂用作包括扩增待测序的核酸分子的反应方案的一部分可以提高测序性能。  As may be appreciated that, as a reducing agent stabilizing reaction scheme comprises amplifying a portion of a nucleic acid molecule to be sequenced can be sequenced to improve performance. 产生一致(且可能，更高)量的扩增产物可改善获得的下游测序数据的质量和/或此类数据的后续分析。 Produce a consistent (and possibly higher) the amount of amplification products can be mass and / or subsequent analysis of such data downstream sequencing data obtained improved. 在一些情况下，使用稳定化还原剂引发扩增反应，例如图3所示的示例方法，可以降低在下游测序数据中观察到的嵌合体率。 In some cases, the use of a reducing agent stabilizing the amplification reactions initiated, for example, the example method illustrated in FIG. 3, may reduce the observed rate of chimeras downstream sequencing data. 另一方面，本公开提供了一种试剂盒，其包含一种或多种试剂和/或用于进行还原反应(可能连同核酸扩增反应一起)的容器。  On the other hand, the present disclosure provides a kit comprising one or more reagents, and (possibly together with a nucleic acid amplification reaction) vessel / or for the reduction reaction. 因此，试剂盒可包括以下的一种或多种:稳定化还原剂(包括本文所述的类型如青霉胺）、可活化还原剂（例如，包括稳定化、可活化还原剂如经取代的DTBA)、包含寡核苷酸条码的珠粒(例如，聚合物珠粒，如聚丙烯酰胺珠粒)和用于进行核酸扩增的试剂(例如，一种或多种引物、一种或多种聚合酶、dNTP、辅因子等）。 Thus, the kit may comprise one or more of the following: stabilizing reducing agents (including penicillamine type as described herein), a reducing agent may be activated (e.g., including stabilized activatable reducing agent such as substituted DTBA), comprising an oligonucleotide barcode beads (e.g., polymer beads, such as polyacrylamide beads), and reagents for performing a nucleic acid amplification (e.g., one or more primers, one or more polymerases, dNTP, cofactors, etc.). 在一些情况下，试剂盒可包含适于产生乳液的试剂。 In some cases, the kit may comprise a reagent adapted to produce an emulsion. 此类试剂的非限制性实例包括连续相（例如，油)和水相(例如，缓冲液）。 Non-limiting examples of such agents include a continuous phase (e.g., oil) and an aqueous phase (e.g., a buffer). 试剂盒还可包含包装(例如，盒子）。 The kit can also comprise packaging (e.g., a box). 所述试剂和装置可包装到单个试剂盒中。 The reagents may be packaged into a single device and kit. 可选地，所述试剂和装置可单独包装。 Alternatively, the agent may be separately packaged and apparatus. 试剂盒还可包含使用试剂盒的说明书。 Kit may further comprise instructions for using the kit. 这些说明可以呈装在试剂盒包装内的纸质文件或小册子的形式。 These instructions may be in the form of a kit contained within the packaging paper document or booklet. 可选地，说明书可以电子形式提供(即，在因特网上）。 Alternatively, instructions may be provided in electronic form (i.e., on the Internet). 本公开提供了经编程以实施本公开的方法的计算机控制系统。  The present disclosure provides a programmed computer control system to implement the method of the present disclosure. 图13示出了经编程或另外配置以控制和/或执行核酸扩增反应和/或本文描述的还原反应的计算机系统1301。 FIG 13 illustrates a programmed or otherwise configured to control and / or computer system 1301 performs a nucleic acid amplification reaction and / or reduction reactions described herein. 计算机系统1301可以，例如调节本公开的反应参数的各个方面，包括试剂量、反应条件(例如，温度、压力、湿度）、流体处理装置、反应设备等。 The computer system 1301 may, for example, adjusting the reaction parameters of the various aspects of the present disclosure, including the amount of reagents, reaction conditions (e.g., temperature, pressure, humidity), the fluid processing apparatus, the reaction equipment. 计算机系统1301可以是使用者的电子设备或相对于该电子设备远程定位的计算机系统。 The computer system 1301 may be an electronic device or the user with respect to the electronic device remotely located computer system. 电子设备可以是移动电子设备。 The electronic device may be a mobile electronic device. 计算机系统1301包括中央处理装置（CHJ，本文也称为“处理器”和“计算机处理器”）1305,其可为单核或多核处理器，或用于并行处理的多个处理器。  Computer system 1301 includes a central processing unit (CHJ, herein also referred to as "processor" and "Computer Processor") 1305, which may be mononuclear or polynuclear processor, or multiple processors for parallel processing . 计算机系统1301还包括存储器或存储位置1310 (例如，随机存取存储器、只读存储器、闪速存储器）、电子存储单元1315(例如，硬盘）、用于与一个或多个其它系统通信的通信接口1320 (例如，网络适配器） 和外围设备1325,例如高速缓存、其它存储器、数据存储和/或电子显示适配器。 The computer system 1301 further includes a memory or storage location 1310 (e.g., random access memory, read only memory, a flash memory), an electronic storage unit 1315 (e.g., a hard disk), or a communication interface for communicating with a plurality of other systems a 1320 (e.g., a network adapter) and peripheral devices 1325, such as a cache, other memory, data storage, and / or electronic display adapter. 存储器1310、存储单元1315、接口1320和外围设备1325通过通信总线（实线），例如主板与CPU1305 通信。 Memory 1310, a storage unit 1315, the interface 1320 and peripheral devices 1325 via a communication bus (solid line), for example, communicate with the motherboard CPU1305. 存储单元1315可为用于储存数据的数据存储单元(或数据储存库）。 The storage unit 1315 may be a data storage unit for storing data (or data repository). 计算机系统1301 可借助于通信接口1320操作性耦合至计算机网络（“网络”）1330。 The computer system 1301 by means of the communication interface 1320 may be operatively coupled to a computer network ( "network") 1330. 网络1330可为因特网，与因特网通信的互联网和/或外联网，或内联网和/或外联网。 Network 1330 may be the Internet, communicating over the Internet with the Internet and / or an extranet, or intranet and / or extranet. 在一些情况下的网络1330为电信和/或数据网络。 1330 network, in some cases for telecommunications and / or data network. 网络1330可包括一个或多个计算机服务器，其可以使分布式计算，如云计算成为可能。 Network 1330 may include one or more computer servers, which can make the distributed computing, cloud computing possible. 网络1330,在一些情况下借助于计算机系统1301，可实现对等式网络(peer-to-peer network) ， 其可以使親合至计算机系统1301 的装置能够起客户端或服务器的作用。 Network 1330, 1301 by means of the computer system, in some cases, can be realized peer network (peer-to-peer network), which enables the device to the computer system 1301 affinity of action capable of functioning as a client or a server. CPU 1305可执行一系列的机器可读指令，该指令可体现在程序或软件中。  CPU 1305 perform a series of machine-readable instructions may be embodied in a program or software. 指令可存储在存储器位置，如存储器1310中。 Instructions may be stored in a memory location, such as a memory 1310. 指令可以针对CPU 1305,这样随后可编程或另外配置CPU 1305以实施本公开的方法。 The instructions may for CPU 1305, and then be programmed or otherwise configured so that CPU 1305 to implement the method of the present disclosure. 通过CPU 1305进行的操作的实例可包括读取、解码、执行和回写。 Examples of operations performed by CPU 1305 can include read, write, decode, execute, and back. CPU 1305可以是电路，例如集成电路的一部分。  CPU 1305 may be a circuit such as a portion of an integrated circuit. 系统1301的一个或多个组件可包括在电路中。 One or more components of the system 1301 may be included in the circuit. 在一些情况下，该电路为专用集成电路(ASIC)。 In some cases, the circuit is an application specific integrated circuit (ASIC). 存储单元1315可存储文件，例如驱动程序、文库和保存的程序。  The storage unit 1315 may store files, such as drivers, libraries, and stored procedures. 存储单元1315可存储用户数据，例如用户偏好和用户程序。 The storage unit 1315 can store user data such as user preferences and the user program. 在一些情况下计算机系统1301可包括一个或多个附加数据存储单元，其在计算机系统1301的外部，例如位于通过内联网或英特网与计算机系统1301通信的远程服务器上。 In some cases, computer system 1301 may include one or more additional data storage unit, in which an external computer system 1301, for example, by an intranet or located on a remote Internet server 1301 to communicate with a computer system. 计算机系统1301可通过网络1330与一个或多个远程计算机系统通信。  Computer system 1301 may communicate with one or more remote computer systems over a network 1330. 例如，计算机系统1301可与用户的远程计算机系统通信。 For example, computer system 1301 may communicate with a remote user's computer system. 远程计算机系统的实例包括个人计算机(例如，便携式PC)、板式或平板PC (例如，Apple®iPad、Samsur!g®Galaxy Tab)、电话、智能电话(例如，Apple® iPhone、支持Android的设备、Blackberry®)或个人数字助理。 Examples of remote computer systems include personal computer (for example, a portable PC), slate or tablet PC (for example, Apple®iPad, Samsur! G®Galaxy Tab), phones, smart phones (eg, Apple® iPhone, Android supported devices, Blackberry®) or personal digital assistant. 用户可经由网络1330访问计算机系统1301。 1301 user can access the computer system via the network 1330. 如本文所述的方法可通过存储在计算机系统1301的电子存储位置，诸如例如存储器1310或电子存储单元1315上的机器(例如，计算机处理器)可执行代码来实现。  The methods described herein may be stored in an electronic storage location by the computer system 1301, such as the memory 1310, for example, a machine or electronic memory unit 1315 (e.g., a computer processor) executable code to implement. 机器可执行或机器可读代码可以呈软件形式提供。 Machine-executable code or machine-readable form provided in the form of software. 使用期间，可由处理器1305执行代码。 During use, the processor 1305 may execute code. 在一些情况下，可从存储单元1315检索代码并存储在存储器1310上以便处理器1305轻易存取。 In some cases, the storage unit 1315 and stores the retrieved code on the memory 1310 to processor 1305 for easy access. 在一些情形下，可除去电子存储单元1315,并且将机器可执行的指令存储在存储器1310上。 In some cases, the removable electronic storage unit 1315, and the machine-executable instructions stored in the memory 1310. 代码可预编译并且经配置以与具有适于执行该代码的处理器的机器一起使用，或者可以在运行期间编译。  precompiled code and configured in a machine having a processor adapted to execute the code is used together, or may be compiled during operation. 代码可用编程语言提供，可选择编程语言以使代码能够呈预编译或已编译形式执行。 Code available programming language, select programming language so that the code was compiled in the form of pre-compiled or executed. 本文提供的系统和方法，例如计算机系统1301的方方面面，可以体现在编程中。  Systems and methods provided herein, all aspects of computer system 1301, for example, may be embodied in programming. 该技术的各个方面可以被认为是“产品”或“制品”，其通常呈在一类机器可读介质上携带或体现的机器(或处理器)可执行代码和/或相关数据的形式。 Various aspects of the technology may be considered a "product" or "product", which is generally in the form of a machine (or processor) or carrying executable code embodied on a machine-readable medium category and / or related data. 机器可执行代码可存储在电子存储单元，例如存储器(例如，只读存储器、随机存取存储器、闪速存储器)或硬盘上。 Machine executable code may be stored in an electronic storage unit, for example, or on a memory (e.g., read only memory, a random access memory, a flash memory), a hard disk. “存储”型介质可包括计算机、处理器等或其相关模块的任何或所有有形存储器，例如各种半导体存储器、磁带驱动器、磁盘驱动器等，其可以在任何时间为软件编程提供非暂时性存储。 "Storage" type media may include any or all of the physical memory of the computer, processor, or other related modules, for example, various semiconductor memory, magnetic tape drives, disk drives and the like, which may provide a non-transitory storage of software programming at any time. 全部或部分软件有时可通过英特网或各种其它电信网络通信。 All or part of the software through the Internet sometimes various other telecommunication networks or communications. 此类通信，例如，可使得软件从一个计算机或处理器向另一个，例如从管理服务器或主机向应用服务器的计算机平台的加载成为可能。 Such communications, for example, such software may be from one to another computer or processor, for example, be possible from a management server or host computer platform to load an application server. 因此，另一类可承载软件要素的介质包括光波、电波和电磁波，例如跨本地设备间的物理接口，通过有线和光固话网络和通过各种空中链路(air-links)使用。 Thus, the carrier medium may be another software element comprises light waves, and electromagnetic waves, for example across a local physical interface between devices through wired and optical networks and fixed using a variety of air link (air-links). 携带此类波的物理元件，例如有线或无线链路、光链路等，也可视为承载软件的介质。 Carrying physical elements such waves, such as wired or wireless links, optical links, etc., may be considered medium bearing the software. 如本文中所用，除非限制为非临时性、有形“存储”介质，否则术语如计算机或机器“可读介质”是指参与向处理器提供指令以便执行的任何介质。 As used herein, unless constrained to be non-transitory, tangible "storage" media, otherwise, terms such as computer or machine "readable medium" refers to any medium that participates in providing instructions to a processor for execution. 因此，机器可读介质，如计算机可执行的代码，可呈许多形式，包括但不限于有形存储介质、载波介质或物理传输介质。  Thus, a machine-readable medium, computer-executable code, may take many forms, including but not limited to a tangible storage medium, a carrier wave medium or physical transmission medium. 非易失性存储介质包括，例如光盘或磁盘，如任何计算机等中的任何储存设备，例如可用于实现图中所示的数据库等。 Volatile storage media including, for example, optical or magnetic disks, such as any computer and any other storage device, such as a database may be used as shown in FIG realization. 易失性存储介质包括动态存储器，例如此类计算机平台的主存储器。 Volatile storage media includes dynamic memory, such as main memory of such a computer platform. 有形传输介质包括同轴电缆;铜线和光纤，包括含计算机系统内的总线的线。 Tangible transmission media include coaxial cables; copper wire and fiber optics, including wires that comprise bus within a computer system. 载波传输介质可以呈电信号或电磁信号或声波或光波的形式，例如射频(RF)和红外（IR)数据通信期间产生的那些。 Carrier transmission medium may be in the form of electric or electromagnetic signals, or acoustic or light waves, such as those generated during radio frequency (RF) and infrared (IR) data communications. 因此计算机可读介质的常见形式包括例如：软盘、软磁盘、硬盘、磁带、任何其它磁性介质、CD-ROM、DVD或DVD-ROM、任何其它光学介质、穿孔卡片纸带、具有穿孔模式的任何其它物理存储介质、RAM、R0M、PR0M和EPR0M、 FLASH-EPROM、任何其它存储芯片或存储卡、载波传输数据或指令、传输此类载波的电缆或链路，或计算机可以从中读取编程代码和/或数据的任何其它介质。 Common forms of computer-readable media therefore include, for example: any of a floppy disk, hard disk, magnetic tape, any other magnetic medium, CD-ROM, DVD, or DVD-ROM, any other optical medium, punch cards paper tape, other hole pattern a physical storage medium, RAM, R0M, PR0M and EPR0M, FLASH-EPROM, any other memory chip or card, a carrier wave transporting data or instructions, cables or transmission of such carrier link, or a computer can read programming code and / or any other medium data. 这些形式中的许多计算机可读介质可涉及将一种或多种顺序的一个或多个指令携带到处理器以执行。 Many of these forms of computer readable media may be involved in a sequence of one or more of one or more instructions to processor for execution. 计算机系统1301可包括电子显示器1335或与之通信，电子显示器包括用户界面(UI) 1340,其用于提供，例如反应试剂的量、反应参数（例如，温度、压力、搅拌速率、时间等），显示反应结果(例如，产物产量、产物品质等）、从反应中测量的原始数据、经分析或处理的为反应测量的数据等。  Computer system 1301 may include an electronic display 1335 or in communication with, the electronic display includes a user interface (UI) 1340, which is used to provide, for example, the amounts of reagents, reaction parameters (e.g., temperature, pressure, stirring rate, time etc. ), the results showed the reaction (e.g., product yield, product quality, etc. ), the measured raw data from the reaction, the reaction was analyzed to be measured or processed data and the like. UI的实例包括但不限于图形用户界面(GUI)和基于网页(web)的用户界面。 Examples of UI include, but are not limited to a graphical user interface (GUI) and the Web-based (Web) user interface. 本公开的方法和系统可通过一种或多种算法实现。  The methods and systems of the present disclosure may be implemented by one or more algorithms. 一种算法可通过软件在由中央处理器1305执行后实现。 An algorithm can be implemented in 1305 after the execution by the central processor through software. 该算法，例如，可以执行本文描述的核酸扩增反应和/或还原反应和/或获得并分析从此类反应获得的数据。 The algorithm, for example, may perform a nucleic acid amplification reaction described herein and / or reduction reactions and / or obtaining and analyzing data obtained from such reactions. 进行三组平行扩增实验。  Three sets of parallel amplification experiments. 每个实验组包括重复的反应体积，每个反应体积包含与含条码和引发序列的寡核苷酸(与图3所示的寡核苷酸308相似)连接(经由二硫键联）的聚丙稀酰胺凝胶珠粒、样品核酸分子、9degrees north聚合酶和DTT，全部在反应缓冲液中为起始浓度。 Each experimental group comprises repeating the reaction volume, each reaction volume containing polypropylene containing bar code sequence and initiating oligonucleotide (an oligonucleotide is similar to FIG 3308) is connected (via a disulfide bond linking) dilute polyacrylamide gel beads, the sample nucleic acid molecules, 9degrees north polymerase and DTT, all in reaction buffer starting concentration. 每个实验组包括不同的9degrees north聚合酶制剂(如图4所示的“第3批”、“第4 批”和“第5批”）并且每个实验组中的反应体积在其DTT初始浓度方面不同。 Each experimental group comprises a different formulation 9degrees north polymerase (FIG. "Batch 3", "4 Batch" and "Batch 5" in FIG. 4) and a reaction volume in each experimental group in its initial DTT different concentrations of ways. 每个反应体积经受热循环以在类似于图3中以图形方式描绘的示例扩增方法的扩增反应中扩增样品核酸分子。 Each reaction volume subjected to thermal cycling is similar to the example in FIG. 3 depicts graphically the amplification reaction amplification method to amplify the sample nucleic acid molecules. 虽然产生了含扩增产物的局部发夹，但可以在本体反应体积而非如图3所示乳液中的液滴内完成扩增反应。 While generating a partial hairpin containing amplified product, but instead may be reacted in bulk volume of the amplification reaction completed as droplets within the emulsion in FIG. 在扩增反应期间，DTT还原寡核苷酸和珠粒之间的二硫键联，从而引发扩增反应。 During the amplification reaction, the DTT reduction of disulfide bonds linking between the oligonucleotide and beads, to initiate the amplification reaction. 图4中以图形方式描绘了各个实验组的扩增产物产量相对于还原剂初始浓度。  Figure 4 depicts graphically the amplification product yield for each experiment group with respect to the initial concentration of the reducing agent. 第4 批（图4中的重复实验402和405)和第5批(重复实验403和406)的实验组在通常较低的DTT初始浓度下显示出较高的扩增产物量，在较高浓度下扩增产物的量显著更低至没有。 (FIG. 4 replicate experiments 402 and 405) and Batch 4 Batch 5 (replicate experiments 403 and 406) in the experimental groups show generally lower initial concentration of DTT a higher amount of amplified product, at higher the amount of amplification product at a significantly lower concentration to no. 相反，第3批实验组（图4中的重复实验401和404)中产生的扩增产物与第4和5批中的那些同等或更佳并且在测试的初始DTT浓度范围内持续不变。 In contrast, the third batch of the experimental groups (Fig. 4 replicate experiments 401 and 404) produced an amplification product with equal or better those batches 4 and 5 and is sustained within the test range of the initial concentration of DTT. 数据表明当DTT用作还原剂时，反应性能可随不同聚合酶制剂而变化。 When used as reducing agent DTT data indicate, the reaction may vary from the performance of the polymerase preparation. 此类差异可归因于测试的各个批次中酶的不同氧化态和/或如本文别处所述的DTT的相对不稳定特性。 Different oxidation states of each enzyme batch and / or relatively unstable characteristics as described elsewhere herein DTT such difference is attributable to the test. 进行四组平行扩增实验。  for four amplified in parallel experiments. 每个实验组包括重复的反应体积，每个反应体积包含与包含条码和引发序列的寡核苷酸（与图3所示的寡核苷酸308相似)连接(经由二硫键联）的聚丙稀酰胺凝胶珠粒、样品核酸分子、9degrees north聚合酶和还原剂，全部在反应缓冲液中。 Each experimental group comprises repeating the reaction volume, the volume of each reaction initiator and contains a bar code comprising a sequence of the oligonucleotide (an oligonucleotide is similar to FIG 3308) is connected (via a disulfide-linked) polyacrylic dilute polyacrylamide gel beads, the sample nucleic acid molecules, 9degrees north polymerase and a reducing agent, all in reaction buffer. 每个实验组包括不同的还原剂(如图4所示的DTT、TCEP、青霉胺和⑶-2-氨基丁烷-I，4-二硫醇盐酸盐)并且每个实验组中的反应体积在其还原剂的初始浓度方面不同。 Each experimental group comprises a different reducing agents (DTT shown in Figure 4, TCEP, penicillamine, and ⑶-2- aminobutane -I, 4- dithiol hydrochloride) and each experimental group the reaction volume of the initial concentration of the reducing agent in different aspects. 每个反应体积经受热循环以在类似于图3中以图形方式描绘的示例扩增方法的扩增反应中扩增样品核酸分子。 Each reaction volume subjected to thermal cycling is similar to the example in FIG. 3 depicts graphically the amplification reaction amplification method to amplify the sample nucleic acid molecules. 虽然产生了含扩增产物的局部发夹，但可以在本体反应体积而非如图3所示乳液中的液滴内完成扩增反应。 While generating a partial hairpin containing amplified product, but instead may be reacted in bulk volume of the amplification reaction completed as droplets within the emulsion in FIG. 在扩增反应期间，适当的还原剂还原寡核苷酸和珠粒之间的二硫键联，从而引发扩增反应。 During the amplification reaction, a suitable reducing agent disulfide bonds linking between the oligonucleotide and the nucleotide beads, to initiate the amplification reaction. 图5中以图形方式描绘了各个实验组的扩增产物产量。  Figure 5 depicts graphically the amplification product yield for each experiment group. 图5 (图A)以图形方式在线性X-轴上描绘了随变化的初始还原剂浓度变化的扩增产量，而图5 (图B)使用对数X-轴描绘相同数据。 Figure 5 (panel A) graphically depict a linear amplified output shaft X- initial concentration of the reducing agent with the change, and FIG. 5 (Panel B) using a logarithmic X- axis depicts the same data. DTT (图5中的重复实验501和505)、TCEP (重复实验502和506)和⑶-2-氨基丁烷-1，4_二硫醇盐酸盐(重复实验504和508)的实验组在通常较低的还原剂初始浓度下显示出较高的扩增产物量，在较高浓度下扩增产物的量显著更低。 (The experiment was repeated 501 in FIG. 5 and 505) DTT, TCEP (502 and 506 replicate experiments) and ⑶-2- aminobutane hydrochloride -1,4_ dithiol (replicate experiments 504 and 508) in the experimental group It exhibits a higher amount of amplification product at generally lower initial concentration of the reducing agent, the amount of amplification product at higher concentrations significantly lower. 相反，在青霉胺实验组（图5中的重复实验503和507)中产生的扩增产物随还原剂的初始浓度有一定变化，然而生成的扩增产物在量上与其它还原剂同等或更佳，并且在测试的初始青霉胺浓度范围内与其它还原剂不同。  In contrast, in the experimental group penicillamine (FIG. 5 replicate experiments 503 and 507) in the initial concentration of the reducing agent to produce an amplification product with a certain change, but the resulting amplification product with another reduction in the amount of equally or more agents, penicillamine and the initial concentration range tested with other different reducing agents. 数据表明与其它还原剂如〇1'1'、^^?和®-2-氨基丁烷-I，4-二硫醇盐酸盐相比时，在广泛的初始还原剂浓度范围内，青霉胺可以产生相对相似量的扩增产物。 Data show that other reducing agents such as 〇1'1 '^^? ®-2- aminobutane, and -I, 4- dithiol hydrochloride when compared to the initial reducing agent in a wide concentration range, green pyrimethanil may produce a relatively similar amount of amplification product. 此类差异可归因于如本文别处所述的青霉胺的稳定特性(例如，经由其空间受阻的硫醇基团）。 Such differences attributable to the stable characteristics (e.g., via a thiol group which is sterically hindered) as described elsewhere herein penicillamine. 进行三组实验以比较在扩增反应中产生扩增产物中DTT和青霉胺的性能。  Three sets of experiments were performed to compare the performance of the amplification reaction, the amplification product produced DTT and penicillamine. 在第一组实验中，该组包括重复的反应体积，每个反应体包含与包含条码和引发序列的寡核苷酸(与图3所示的寡核苷酸308相似)连接(经由二硫键联)的聚丙烯酰胺凝胶珠粒、样品核酸分子、9 degrees north聚合酶和DTT或青霉胺还原剂。 In the first set of experiments, the group consisting of repeating reaction volume, each reaction comprises a bar code and an initiator comprising oligonucleotide sequences (nucleotide 3308 shown in FIG oligonucleotide similar) connected (via disulfide linkages) polyacrylamide gel beads, the sample nucleic acid molecules, 9 degrees north polymerase and reducing agent DTT or penicillamine. 在一类还原剂中反应体积在其还原剂初始浓度方面不同。 Reducing the volume of the reaction differ in their initial concentration in terms of a class of reducing agent. 第二组实验与第一组相同，除每个反应体积包含Deep Vent聚合酶而非9degrees north聚合酶以外。 The second set of experiments identical to the first group, in addition to each reaction volume containing Deep Vent Polymerase 9degrees north rather than polymerase. 第一和第二实验组中的反应体积在本体反应体积中完成。 The reaction volume of the first and second experimental groups completed the bulk reactor volume. 第三实验组包括各自包含以3ng样品核酸分子输入产生的多个水性液滴的实验，其中每个液滴包含与包含条码和引发序列的寡核苷酸(与图3所示的寡核苷酸308相似)连接(经由二硫键联）的聚丙稀酰胺凝胶珠粒、样品核酸分子、9degrees north聚合酶和DTT或青霉胺还原剂。 Each group comprising a third experiment, experiment comprises a plurality of aqueous droplets in a sample a nucleic acid molecule 3ng generated inputs, where each droplet contains initiator contains a bar code and an oligonucleotide sequence oligonucleotides shown in (FIG. 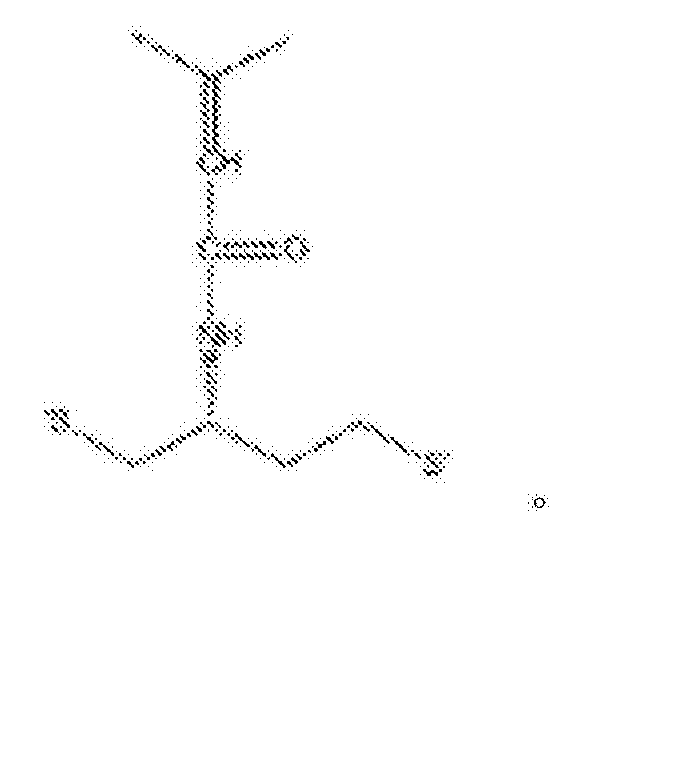 3 similar acid 308) connected (via disulfide bonds linking) polyacrylamide gel beads, the sample nucleic acid molecules, 9degrees north polymerase, and the reducing agent DTT or penicillamine. 对指定还原剂的实验在其还原剂初始浓度方面不同。 Experimental specified reducing agent differ in their initial concentration reducing aspect. 每个实验组经受热循环以在类似于图3中以图形方式描绘的示例扩增方法的扩增反应中扩增样品核酸分子。  Each experimental group subjected to thermal cycling is similar to the example depicted in FIG. 3 graphically the amplification reaction amplification method of amplifying a nucleic acid molecule sample. 在扩增反应期间，适当的还原剂还原寡核苷酸和珠粒之间的二硫键联，从而引发扩增反应。 During the amplification reaction, a suitable reducing agent disulfide bonds linking between the oligonucleotide and the nucleotide beads, to initiate the amplification reaction. 对于液滴内所进行的第三组实验，破坏包含液滴的乳液并且将扩增产物汇集成常见混合物。 For the third set of experiments performed within the droplets, and the destruction of the emulsion droplets containing the amplification product together into a common mixture. 然后测量从每个实验组回收的扩增产物。 Measuring amplification product was then recovered from each experimental group. 图6中以图形方式描绘了各个实验组的扩增产物产量相对于还原剂初始浓度。 In  Figure 6 depicts graphically the amplification product yield of each experimental group relative to the initial concentration of the reducing agent. 图6 (图A)以图形方式描绘了来自于第一实验组的结果(601和602对应DTT重复实验，603和604 对应青霉胺重复实验）；图6(图B)以图形方式描绘了来自于第二实验组的结果(611和612对应DTT重复实验，613和614对应青霉胺重复实验）；图6 (图C)以图形方式描绘了来自于第三实验组的结果(621和622对应DTT重复实验，623和624对应青霉胺重复实验）。 6 (Panel A) graphically depicts the results from the first experimental group (601 and 602 corresponding to the repeated experiments DTT, 603 and 604 corresponding to the repeated experiments penicillamine); Figure 6 (Panel B) graphically depict results from the second experiment (611 and 612 corresponding to the repeated experiments DTT, 613 and 614 corresponding to the repeated experiments penicillamine); FIG. 6 (FIG. C) graphically depicts the results from the experimental group the third (621 and The experiment was repeated 622 corresponds DTT, 623 and 624 correspond penicillamine replicates). 对于每个实验组而言，DTT重复实验在通常较低的还原剂初始浓度下显示出较高的扩增产物量，在较高初始浓度下扩增产物的量显著更低。 For each experimental group, experiments were repeated DTT showed higher amount of amplification product at generally lower initial concentration of the reducing agent, the amount of amplification product at higher initial concentrations were significantly lower. 相反，在全部三个实验组中，使用青霉胺产生的扩增产物随还原剂的初始浓度有一定变化，然而生成的扩增产物在量上与用DTT生成的量同等或更佳，并且与DTT不同，在测试的初始青霉胺浓度范围内量相对相似。  In contrast, in all three experimental groups, using the amplified product of penicillamine with initial concentration of the reducing agent to produce a certain change, but the amount of amplification product generated in the generating amount equal to or more with DTT good, and the DTT is different in the initial test concentration range is relatively similar amounts of penicillamine. 数据表明与其它还原剂如DTT相比时，在广泛的初始还原剂浓度范围内，青霉胺可以产生相似量的扩增产物。 Data show that when compared with other reducing agents such as DTT, in a wide range of initial concentration of the reducing agent, penicillamine may produce similar amounts of amplification product. 此类差异可归因于如本文别处所述的青霉胺的稳定特性(例如，经由其空间受阻的硫醇基团）。 Such differences attributable to the stable characteristics (e.g., via a thiol group which is sterically hindered) as described elsewhere herein penicillamine. 进行三组实验以比较在扩增反应中产生扩增产物中DTT和青霉胺的性能。  Three sets of experiments were performed to compare the performance of the amplification reaction, the amplification product produced DTT and penicillamine. 每个实验包括以6 ng样品核酸分子输入产生的多个水性液滴，其中每个液滴包括与包含条码和引发序列的寡核苷酸(与图3所示的寡核苷酸308相似)连接(经由二硫键联）的聚丙烯酰胺凝胶珠粒、样品核酸分子、9degrees north聚合酶和DTT或青霉胺还原剂。 Each experiment included 6 ng plurality of aqueous droplets generated input sample nucleic acid molecules, wherein each droplet comprises (shown in Figure 3 is similar to oligonucleotide 308) and contains a bar code and initiating oligonucleotide sequence (via disulfide bonds linking) polyacrylamide gel beads, the sample nucleic acid molecules, 9degrees north polymerase, and the reducing agent DTT or penicillamine. 每个实验组包括不同的9degrees north聚合酶制剂(第一制剂（图7的图A中“第5批:未处理”）、包含源自第一制剂的氧化漂白9degrees north的第二制剂（图7的图B中“第5批:漂白”）和包含并非源自第一制剂的9degrees north制剂的第三制剂（图7的图C中“第3批:对照”））。 Each experimental group comprises a different polymerase 9degrees north formulations (first formulation (FIG. 7 Panel A: second formulation "Batch untreated 5"), derived from a first formulation comprising a peroxide bleaching 9degrees north (Fig. B 7 in FIG: third formulation "5th batch bleaching") and not derived from a first formulation comprising 9degrees north FIG formulation C (FIG. 7 "batch 3: control")). 此外，对于给定还原剂而言实验中的液滴在其还原剂初始浓度方面不同。 Further, it is given in terms of the reducing agent in droplets of different experiments for a given initial concentration of reducing agent in its aspects. 每个实验组经受热循环以在类似于图3中以图形方式描绘的示例扩增方法的扩增反应中扩增样品核酸分子。  Each experimental group subjected to thermal cycling is similar to the example depicted in FIG. 3 graphically the amplification reaction amplification method of amplifying a nucleic acid molecule sample. 在扩增反应期间，适当的还原剂还原寡核苷酸和珠粒之间的二硫键联，从而启动扩增反应。 During the amplification reaction, a suitable reducing agent disulfide bonds linking between the oligonucleotide and the nucleotide beads, to initiate the amplification reaction. 在扩增反应完成之后，对于每个实验而言破坏包含液滴的乳液并且将扩增产物汇集成常见混合物并测量回收的扩增产物的量。 After the completion of the amplification reaction, comprising for each experimental destruction of the emulsion droplets and the amount of amplification product is measured and brought together into a common mixture of amplification product recovered. 图7中以图形方式描绘了各个实验组的扩增产物产量相对于还原剂初始浓度。 In  FIG 7 depicts graphically the amplification product yield for each experiment group with respect to the initial concentration of the reducing agent. 图7 (图A)以图形方式描绘了来自于对应第一9degrees north制剂的第一实验组的结果(701对应DTT，702对应青霉胺）；图7(图B)以图形方式描绘了来自于对应第二9degrees north制剂的第二实验组的结果(711对应DTT，712对应青霉胺）；图7(图C)以图形方式描绘了来自于对应第三9degrees north制剂的第三实验组的结果(721对应DTT，722对应青霉胺）。 Figure 7 (panel A) graphically depicting the results of the first experimental group (corresponding to 701 DTT, 702 correspond penicillamine) from the corresponding first 9degrees north formulation; FIG. 7 (panel B) depict graphically from results the second corresponds to a second 9degrees north formulation (corresponding to 711 DTT, 712 corresponding to penicillamine); FIG. 7 (panel C) graphically depicts a third experimental group from the corresponding third 9degrees north formulation result (corresponding to 721 DTT, 722 correspond penicillamine). 对于每个实验组而言，DTT在通常较低的还原剂初始浓度下显示出较高的扩增产物量，在较高初始浓度下扩增产物的量较低。 For each experimental group, DTT showed higher amplification product in an amount of reducing agent is generally lower initial concentration, the lower the amount of amplification product at higher initial concentrations. 进行三组实验以比较在扩增反应中产生扩增产物中DTT和青霉胺的性能。  Three sets of experiments were performed to compare the performance of the amplification reaction, the amplification product produced DTT and penicillamine. 每个实验包括以3ng样品核酸分子输入产生的多个水性液滴，其中每个液滴包括与包含条码和引发序列的寡核苷酸(与图3所示的寡核苷酸308相似)连接(通过二硫键联）的聚丙烯酰胺凝胶珠粒、样品核酸分子、三种聚合酶制剂之一和DTT或青霉胺还原剂。 Each experiment included a plurality of aqueous droplets 3ng input sample generated a nucleic acid molecule, wherein each droplet comprises (similar to an oligonucleotide FIG 3308) and contains a bar code and initiating oligonucleotide sequences connector polyacrylamide gel beads (linked by a disulfide bond), the sample nucleic acid molecules, one of the three polymerase formulations and reducing agent DTT or penicillamine. 每个实验组包括不同的聚合酶制剂（Deep Vent聚合酶制剂（图8的图A中的“Deep Vent”）、氧化的9degrees north制剂（图8的图B中的“Blonde”）和未经处理的9degrees north制剂（图8的图C中的“对照”)）。 Each experimental group comprises a different formulation polymerase (Deep Vent polymerase preparation ( "Deep Vent" A Fig. 8), oxidized 9degrees north formulation (FIG. 8 B is "Blonde") and without 9degrees north formulation process (FIG. FIG. 8 C "control")). 此外，对于给定还原剂而言实验中的液滴在其还原剂初始浓度方面不同。 Further, it is given in terms of the reducing agent in droplets of different experiments for a given initial concentration of reducing agent in its aspects. 图8中以图形方式描绘了各个实验组的扩增产物产量相对于还原剂初始浓度。 In  Figure 8 depicts graphically the amplification product yield for each experiment group with respect to the initial concentration of the reducing agent. 图8 (图A)以图形方式描绘了来自于对应Deep Vent制剂的第一实验组的结果(801对应DTT，802 对应青霉胺）；图8 (图B)以图形方式描绘了来自于对应氧化的9degrees north制剂的第二实验组的结果(811对应DTT，812对应青霉胺）；图8 (图C)以图形方式描绘了来自于对应未处理的9degrees north制剂的第三实验组的结果(821对应DTT，822对应青霉胺）。 Figure 8 (panel A) graphically depicting the results of the first experimental group Deep Vent from the corresponding formulation (corresponding to 801 DTT, 802 corresponding to penicillamine); Figure 8 (Panel B) depict graphically from the corresponding 9degrees north formulations result of the oxidation of the second experimental group (corresponding to 811 DTT, 812 corresponding to penicillamine); Figure 8 (Panel C) graphically depicts a third experimental group from the corresponding untreated 9degrees north formulation result (corresponding to 821 DTT, 822 correspond penicillamine). 对于每个实验组而言，DTT在通常较低初始浓度的还原剂下显示出较高的扩增产物量，在较高初始浓度下扩增产物的量较低。 For each experimental group, DTT showed higher amount of amplification product at a lower initial concentration of the reducing agent is generally low amount of amplification product at higher initial concentrations. 进行三组实验以比较在扩增反应中产生扩增产物中DTT和青霉胺的性能。  Three sets of experiments were performed to compare the performance of the amplification reaction, the amplification product produced DTT and penicillamine. 每个实验组包括重复实验，其包括多个水性液滴，其中每个液滴包括与包含条码和引发序列的寡核苷酸(与图3所示的寡核苷酸308相似)连接(经由二硫键联)的聚丙烯酰胺凝胶珠粒、样品核酸分子、三种聚合酶制剂之一和DTT或青霉胺还原剂。 Each experimental group comprises repeating experiments, comprising a plurality of aqueous droplets where each droplet contains a bar code and the initiator comprises oligonucleotide sequences (nucleotide 3308 shown in FIG oligonucleotide similar) connected (via disulfide-linked) polyacrylamide gel beads, the sample nucleic acid molecules, one of the three polymerase formulations and reducing agent DTT or penicillamine. 每个实验组包括聚合酶制剂和还原剂的不同组合(第一组包含未处理的9degrees north聚合酶制剂和DTT，第二组包含氧化的9degrees north聚合酶制剂和DTT且第三组包含氧化的9degrees north聚合酶制剂和青霉胺）。 Each experimental group comprises different combinations of polymerases and a reducing agent formulations 9degrees north polymerase preparation (comprising a first group of untreated and DTT, a second set of 9degrees north polymerase formulation comprising oxidized and DTT and oxidized third group comprising 9degrees north polymerase formulations and penicillamine). 此外，实验组中的实验在其还原剂初始浓度方面不同。 In addition, the experimental group of experiments in which different aspects of the initial concentration of the reducing agent. 每个实验组经受热循环以在类似于图3中以图形方式描绘的示例扩增方法的扩增反应中扩增样品核酸分子。  Each experimental group subjected to thermal cycling is similar to the example depicted in FIG. 3 graphically the amplification reaction amplification method of amplifying a nucleic acid molecule sample. 在扩增反应期间，适当的还原剂还原寡核苷酸和珠粒之间的二硫键联，从而引发扩增反应。 During the amplification reaction, a suitable reducing agent disulfide bonds linking between the oligonucleotide and the nucleotide beads, to initiate the amplification reaction. 在扩增反应完成之后，对于每个实验而言破坏包含液滴的乳液并且将扩增产物汇集成常见混合物并测量回收的扩增产物的量。 After the completion of the amplification reaction, comprising for each experimental destruction of the emulsion droplets and the amount of amplification product is measured and brought together into a common mixture of amplification product recovered. 图9中以图形方式描绘了各个实验组的扩增产物产量相对于还原剂初始浓度。  Figure 9 depicts graphically the initial concentration of the reducing agent amplified product yield with respect to each experimental group. 图9 (图A)以图形方式描绘了来自于对应未处理的9 degrees north制剂和DTT的第一实验组的重复结果(实线和虚线）；图9(图B)以图形方式描绘了来自于对应氧化的9degrees north制剂和DTT的第二实验组的重复结果(实线和虚线）；图9(图C)以图形方式描绘了来自于对应氧化的9degrees north制剂和青霉胺的第一实验组的重复结果(实线和虚线）。 Figure 9 (Panel A) depicts graphically the results of 9 degrees north duplicate preparations from the corresponding untreated DTT and the first experimental group (solid line and dotted line); Figure 9 (Panel B) depict graphically from Replicate results in the corresponding oxidation 9degrees north formulation and the experimental group DTT second (solid and dotted lines); FIG. 9 (panel C) graphically depicts a first oxidation from the corresponding formulation 9degrees north and penicillamine results of the experimental group was repeated (solid and dashed lines). 对于第一和第二实验组而言，DTT在通常较低初始浓度的还原剂下显示出较高的扩增产物量，在较高初始浓度下扩增产物的量较低。 For the first and second experimental groups, DTT showed higher amount of amplification product at a lower initial concentration of the reducing agent is generally low amount of amplification product at higher initial concentrations. 相反，在第三实验组中，使用青霉胺产生的扩增产物随还原剂的初始浓度有一定变化，然而生成的扩增产物在量上与第一和第二实验组中用DTT生成的量同等或更佳，并且与DTT不同，在测试的初始青霉胺浓度范围内量相对相似。  In contrast, in the third experiment, using the amplified product of penicillamine with initial concentration of the reducing agent to produce a certain change, however, the amplification product generated by the first and second experimental groups in an amount of an amount equivalent to or better generated DTT, and DTT and different, initial tests within a range of relative concentrations penicillamine similar amounts. 数据表明与其它还原剂如DTT相比时，在广泛的初始还原剂浓度范围内，青霉胺可以产生相似量的扩增产物。 Data show that when compared with other reducing agents such as DTT, in a wide range of initial concentration of the reducing agent, penicillamine may produce similar amounts of amplification product. 此类差异可归因于如本文别处所述的青霉胺的稳定特性(例如，经由其空间受阻的硫醇基团）。 Such differences attributable to the stable characteristics (e.g., via a thiol group which is sterically hindered) as described elsewhere herein penicillamine. 以一式两份，进行三组实验以比较在扩增反应中产生扩增产物中DTT和青霉胺的性能。  In a duplicate set of experiments was performed to compare three in the amplification reaction to generate the amplification product performance DTT and penicillamine. 每个实验包括多个水性液滴，其中每个液滴包括与包含条码和引发序列的寡核苷酸(与图3所示的寡核苷酸308相似)连接(经由二硫键联)的聚丙烯酰胺凝胶珠粒、样品核酸分子、三种聚合酶制剂之一和DTT或青霉胺还原剂。 Each experiment included a plurality of aqueous droplets where each droplet contains a bar code and the initiator comprises oligonucleotide sequences (nucleotide 3308 shown in FIG oligonucleotide similar) connected (via disulfide bonds linking) polyacrylamide gel beads, the sample nucleic acid molecules, one of the three polymerase formulations and reducing agent DTT or penicillamine. 每个实验组包括不同的聚合酶制剂(第一氧化的9degrees north聚合酶制剂（图10的图A和B中的“第5批Ox”）、第二未处理的9degrees north制剂（图10的图A和B中的“Enzymatics (KB) ”）和第三未处理的9degrees north制剂（图10的图A和B中的“Enzymatics (DB) ”））。 Each experimental group comprises a different polymerase preparations (first oxidized 9degrees north polymerase formulation (panels A and B in the "Batch 5 Ox" in FIG. 10), the second untreated 9degrees north formulation (FIG. 10 Panels a and B "Enzymatics (KB)") and the third 9degrees north untreated formulation (Panels a and B in FIG. 10 "Enzymatics (DB)")). 此外，对于给定的还原剂而言实验中的液滴在其还原剂初始浓度方面不同。 In addition, droplets of different experiments for a given reducing agent in terms of its initial concentration reducing aspect. [0M0]图10中以图形方式描绘了各个实验组的扩增产物产量相对于还原剂初始浓度。 [0M0] Figure 10 depicts graphically the initial concentration of the reducing agent amplified product yield with respect to each experimental group. 图10 (图A)以图形方式描绘了实验第一次重复的结果并且图10 (图B)以图形方式描绘了实验第二次重复的结果。 Figure 10 (Panel A) depicts graphically the test results of the first repetition and 10 (Panel B) graphically depict the results of the second experiment repeated. 对于第一次重复的每个实验组而言如图10 (图A)所示，DTT (1001针对第一氧化的9degrees north聚合酶制，1003针对第二未处理的9degrees north聚合酶制剂， 1005针对第三未处理的9degrees north聚合酶制齐0在通常较低初始浓度的还原剂下显示出较高的扩增产物量，在较高初始浓度下扩增产物的量较低。如图10 (图B)所示，将DTT用作还原剂时对于实验第二次重复而言获得类似结果（1011针对第一氧化的9 degrees north 聚合酶制，1013针对第二未处理的9degrees north聚合酶制剂，1015针对第三未处理的9degrees north聚合酶制剂）。 For the first iteration of each experimental group 10 (FIG. A),, DTT (1001 north 9degrees polymerase prepared for the first oxidation, 1003 north polymerase preparation for a second untreated 9degrees, 1005 homogeneous north polymerase prepared for unprocessed third 9degrees 0 showed higher amplification product amount, the lower the amount of amplification product at higher initial concentration at generally lower initial concentration of the reducing agent. FIG. 10 (FIG. B), for the purposes of the experiment was repeated a second time to obtain similar results when used as reducing agent DTT (1011 north polymerase prepared for the first 9 degrees of oxidation, 1013 north for a second polymerase untreated 9degrees formulation, 1015 north polymerase formulation for the third untreated 9degrees). 相反，对于实验第一次重复中的全部三个实验组而言如图10 (图A)所示，使用青霉胺产生的扩增产物（1002针对第一氧化的9degrees north聚合酶制剂，1004针对第二未处理的9degrees north聚合酶制剂，1006针对第三未处理的9degrees north聚合酶制剂）随还原剂的初始浓度有一定变化，然而生成的扩增产物在量上与用DTT生成的量同等或更佳， 并且与DTT不同，在测试的初始青霉胺浓度范围内量相对相似。  In contrast, all three experimental groups for the first experiment was repeated as in FIG. 10 (FIG. A), using an amplification product generated penicillamine (1002 for the first oxidation 9degrees north polymerase formulation, 1004 north polymerase preparation for a second untreated 9degrees, 1006 north polymerase formulation for the third untreated 9degrees) with a certain initial concentration of the reducing agent changes, but the resulting amplification product with DTT and amount of the an amount equivalent to or better generated, and the DTT is different in the initial test concentration range is relatively similar amounts of penicillamine. 将青霉胺用作还原剂时对于实验第二次重复而言获得类似结果（1012针对第一氧化的9degrees north聚合酶制，1014 针对第二未处理的9degrees north聚合酶制剂，1016针对第三未处理的9 degrees north 聚合酶制剂）。 For the purposes of the experiment was repeated a second time to obtain similar results when used as a reducing agent, penicillamine (1012 north 9degrees polymerase prepared for the first oxidation, 1014 north polymerase preparation for a second untreated 9degrees, 1016 for the third 9 degrees north polymerase untreated formulation). 数据表明与其它还原剂如DTT相比时，在广泛的初始还原剂浓度范围内，青霉胺可以产生相似量的扩增产物。  Data show that when compared with other reducing agents such as DTT, in a wide range of initial concentration of the reducing agent, penicillamine may produce similar amounts of amplification product. 此类差异可归因于如本文别处所述的青霉胺的稳定特性(例如， 经由其空间受阻的硫醇基团）。 Such differences attributable to the stable characteristics (e.g., via a thiol group which is sterically hindered) as described elsewhere herein penicillamine. 进行两组实验以比较DTT和青霉胺作为包括扩增反应的反应方案的一部分，产生在扩增产物的核酸测序期间具有可观察到的嵌合体的扩增产物的倾向。  Two sets of experiments were performed to compare the tendency as DTT, and penicillamine comprises amplifying a portion of the reaction scheme of the reaction to produce amplification products having chimera may be observed during amplification product of nucleic acid sequencing. 每个实验组包括具有多个水性液滴的实验，其中每个液滴包括与包含条码和引发序列的寡核苷酸(与图3所示的寡核苷酸308相似)连接(经由二硫键联）的聚丙烯酰胺凝胶珠粒、样品核酸分子、聚合酶制剂(例如，9degrees north、氧化的9degrees north)和还原剂。 Each experimental group comprises a plurality of aqueous droplets having a test, wherein each droplet comprises a bar code and an initiator comprising oligonucleotide sequences (nucleotide 3308 shown in FIG oligonucleotide similar) connected (via disulfide linkages) polyacrylamide gel beads, the sample nucleic acid molecules, polymerase preparations (e.g., 9degrees north, oxidized 9degrees north) and a reducing agent. 所述实验组在还原剂方面不同，一组包括DTT，另一组包括青霉胺。 The experimental group differ reducing agent, the group consisting of DTT, another including penicillamine. 在给定实验组的实验中，对不同初始浓度的还原剂进行测试。 In the experiments given in the experimental group, for different initial concentrations of the reducing agent to be tested. 每个实验经受热循环以在类似于图3中以图形方式描绘的示例扩增方法的扩增反应中扩增样品核酸分子。  Each experiment was subjected to thermal cycling in the example similar to FIG. 3 depicts graphically the amplification reaction amplification method to amplify the sample nucleic acid molecules. 在扩增反应期间，适当的还原剂还原寡核苷酸和珠粒之间的二硫键联，从而引发扩增反应。 During the amplification reaction, a suitable reducing agent disulfide bonds linking between the oligonucleotide and the nucleotide beads, to initiate the amplification reaction. 在扩增反应完成之后，对于每个实验而言破坏包含液滴的乳液并且将扩增产物汇集成常见混合物。 After the completion of the amplification reaction, comprising for each experimental destruction of the emulsion droplets and the amplification product together into a common mixture. 每个实验汇集的扩增产物经纯化并经受剪切连接过程以向扩增产物添加另外的功能序列，然后在核酸测序仪上为进一步加工的扩增产物测序。 Each experiment pooled amplification products to add additional features to the sequence amplified product was purified and subjected to shear connection process, the amplified product was sequenced and then further processed in a nucleic acid sequencing instrument. 图11中以图形方式描绘了对于每个实验组中的各个实验观察到的嵌合体率。 In  Figure 11 graphically depicted chimeric rate observed for each experimental group in each experiment. 如图11所示，对于不同初始DTT浓度获得的数据（图11中的1101)显示了观察到的嵌合体率的范围，在测试的DTT初始浓度范围内嵌合体率相对较高。 11, the data (1101 in FIG. 11) obtained by different initial concentrations of DTT chimera shows the range rate observed at the initial concentration range tested DTT inline assembly rate is relatively high. 相反，同样如图11所示，对于不同初始浓度的青霉胺获得的数据（图11中的1102)显示在测试的青霉胺初始浓度范围内，与由DTT 获得的数据相比观察到的嵌合体率较低并且在通常较窄的嵌合体率范围内。 In contrast, the same as shown in FIG. 11, data (1102 in FIG. 11) for different initial concentrations of penicillamine obtained are shown in the initial concentration range tested penicillamine, compared with the data obtained from the observed DTT chimera ratio is low and generally within a narrow frequency range chimeras. 因此，数据表明在产生扩增产物的反应方案中使用稳定化还原剂如青霉胺，可以降低在扩增产物的下游测序中观察到的嵌合体率和/或嵌合体率可变性。 Thus, the data show that the use of reducing agents such as penicillamine stabilized in reaction scheme to produce the amplification product, may reduce the observed rate of chimeras downstream sequencing amplification product and / or chimeras rate variability. 进行两组实验以比较DTT和青霉胺作为包括扩增反应的反应方案的一部分，产生在扩增产物的核酸测序期间具有可观察到的嵌合体的扩增产物的倾向。  Two sets of experiments were performed to compare the tendency as DTT, and penicillamine comprises amplifying a portion of the reaction scheme of the reaction to produce amplification products having chimera may be observed during amplification product of nucleic acid sequencing. 每个实验组包括具有多个水性液滴的实验，其中每个液滴包括与包含条码和引发序列的寡核苷酸(与图3所示的寡核苷酸308相似)连接(经由二硫键联）的聚丙烯酰胺凝胶珠粒、样品核酸分子、聚合酶制剂(例如，9degrees north、氧化的9degrees north)和还原剂。 Each experimental group comprises a plurality of aqueous droplets having a test, wherein each droplet comprises a bar code and an initiator comprising oligonucleotide sequences (nucleotide 3308 shown in FIG oligonucleotide similar) connected (via disulfide linkages) polyacrylamide gel beads, the sample nucleic acid molecules, polymerase preparations (e.g., 9degrees north, oxidized 9degrees north) and a reducing agent. 所述实验组在还原剂方面不同，一组包括DTT (图12中的1200)，另一组包括青霉胺（图12中的1210)。 The experimental group differ reducing agent, comprising a set (1200 in FIG. 12) DTT, further comprising a set (1210 in FIG. 12) penicillamine. 每个实验组还利用不同的聚合酶制剂（9degrees north (图12的1200所示的“第3批”）或氧化的9degrees north (图12的1210所示的“Ox第5批”））。 Each experimental group also utilize different polymerase preparations (9degrees north as shown in (FIG. 12 1200 "Block 3") or oxidized 9degrees north "Ox Batch 5" 1210 (shown in FIG. 12)). 在每个实验组的实验中，聚丙烯酰胺珠粒在其来源/制备和/或偶联寡核苷酸的鸟嘌呤-胞嘧啶含量(GC含量)方面不同。 In the experimental group in each experiment, the polyacrylamide beads at its source / preparation and / or coupling the oligonucleotide guanine - cytosine different content (GC content) aspects. 每个实验经受热循环以在类似于图3中以图形方式描绘的示例扩增方法的扩增反应中扩增样品核酸分子。  Each experiment was subjected to thermal cycling in the example similar to FIG. 3 depicts graphically the amplification reaction amplification method to amplify the sample nucleic acid molecules. 在扩增反应期间，适当的还原剂还原寡核苷酸和珠粒之间的二硫键联，从而引发扩增反应。 During the amplification reaction, a suitable reducing agent disulfide bonds linking between the oligonucleotide and the nucleotide beads, to initiate the amplification reaction. 在扩增反应完成之后，破坏包含液滴的乳液并且将扩增产物汇集成常见混合物。 After completion of the amplification reaction, and destruction of the emulsion droplets containing the amplification product together into a common mixture. 扩增产物经纯化并经受剪切连接过程以向扩增产物添加另外的功能序列， 然后在核酸测序仪上为进一步加工的扩增产物测序。 Amplification products were purified and subjected to shear connection process to add additional functionality to the sequence of the amplification product, then the amplified product is further processed in the sequencing of nucleic acid sequencing instrument. 图12中以图形方式描绘了对于每个实验组中的各个实验观察到的嵌合体率。  Figure 12 graphically depicted chimeric rate observed for each experimental group in each experiment. 如图12所示，对DTT实验获得的数据（图12中的1200)在与对青霉胺实验获得的数据（图12中的1210)相比时显示出更高的嵌合体率。 12, the experimentally obtained data DTT (1200 in FIG. 12) shows higher chimeras when compared to the data rate (1210 in FIG. 12) penicillamine obtained experimentally. 虽然本文已经示出并描述了本发明的优选实施方案，但对于本领域的技术人员而言显而易见的是，这样的实施方案仅以举例的方式提供。  Although described herein have been shown and described preferred embodiments of the invention, but for those skilled in the art obvious that such embodiments provided by way of example only. 并非意图通过说明书中提供的具体实例来限制本发明。 The present invention is not intended to be limited by the specific examples provided in the description. 虽然已经参考上述说明来描述了本发明，但并非意在以限制性意义解释本文实施方案的描述和举例说明。 Although the present invention has been described, but the above description is not intended explained with reference to embodiments herein described and illustrated in a limiting sense. 在不背离本发明的前提下，本领域的技术人员可进行许多变型、改变和替代。 Without departing from the invention, those skilled in the art may make many modifications, changes, and substitutions. 此外，应理解本发明的所有方面均不限于本文阐述的具体描绘、 构型或相对比例，这取决于多种条件和变量。 Further, it should be understood that all aspects of the invention set forth herein are not limited to the specific drawing, the configuration or relative proportions of which depend upon a variety of conditions and variables. 应理解本文描述的本发明实施方案的各个替代方案可用于实践本发明。 Various alternatives to the embodiments of the present invention described herein may be understood to be used in the practice of the present invention. 因此预计本发明还应该包括所有此类替代方案、修改、变型或等效案。 It is expected that the present invention should include all such alternatives, modifications, variations or equivalent text. 其意图是以下权利要求限定本发明的范围并由此包括这些权利要求及其等同权利要求范围内的方法和结构。 It is intended that the scope of the invention defined in the following claims and thus comprising these claims and their equivalents claims that methods and structures within the scope. 1. 一种用于核酸扩增的方法，其包括： (a)在反应体积中提供试剂，其中所述试剂包含第一组分，所述第一组分通过可还原键联与第二组分偶联，并且其中所述反应体积包括模板核酸分子和稳定化还原剂； ⑹借助于所述稳定化还原剂裂解所述可还原键联以使所述第一组分与所述第二组分去偶联;并且(c)使用所述第一组分，使所述模板核酸分子经受扩增反应，以得到作为所述模板核酸分子扩增产物的核酸分子， 其中在（c)之前，所述稳定化还原剂对于所述可还原键联的还原活性有至多20%的变化。 1. A method for nucleic acid amplification, comprising: (a) providing a reagent in the reaction volume, wherein the reagent comprises a first component, the first component may be reduced by linking with the second set coupling points, and wherein said reaction volume comprising a template nucleic acid molecule and stabilized reducing agent; ⑹ means of a reducing agent stabilizing the cleavage of the linkage may be reduced so that the first component and the second set decoupling points; and (c) using the first component, so that the template nucleic acid molecule is subjected to amplification reaction as the template to obtain a nucleic acid molecule amplified product nucleic acid molecule, wherein prior to (c), the reducing agent is stabilized with up to 20% of the variations of the redox-active reducible linkages. 2. 根据权利要求1所述的方法，其中在(c)之前，所述稳定化还原剂对于所述可还原键联的还原活性有至多10%的变化。 2. The method according to claim 1, wherein prior to (C), the reducing agent is stabilized with up to a 10% reduction of the activity of the variations reducible linkages. 3. 根据权利要求1所述的方法，其中在(c)之前，所述稳定化还原剂对于所述可还原键联的还原活性有至多5%的变化。 3. The method according to claim 1, wherein prior to (C), the reducing agent is stabilized with up to 5% of the activity of the reducing variations reducible linkages. 4. 根据权利要求1所述的方法，其中在(c)之前，所述稳定化还原剂对于所述可还原键联的还原活性有至多1 %的变化。 4. The method according to claim 1, wherein prior to (C), the reducing agent is stabilized with up to a 1% change in activity for the reduction of the reducible linkage. 5. 根据权利要求1所述的方法，其中所述经受包括使所述反应体积的温度循环。 5. The method according to claim 1, wherein said temperature cycle comprises subjecting the reaction volume. 6. 根据权利要求1所述的方法，其中所述稳定化还原剂包含含稳定化硫醇的化合物。 6. The method according to claim 1, wherein the reducing agent comprises a stabilizing compound having thiol stabilized. 7. 根据权利要求6所述的方法，其中所述含稳定化硫醇的化合物包含空间受阻的硫醇基团。 7. The method according to claim 6, wherein the thiol-containing stabilizing compound comprises a sterically hindered thiol group. 8. 根据权利要求6所述的方法，其中所述含稳定化硫醇的化合物包含青霉胺。 8. The method according to claim 6, wherein the thiol-containing compound comprises a stabilizing penicillamine. 9. 根据权利要求1所述的方法，其中所述第二组分包含珠粒。 9. The method according to claim 1, wherein said second component comprises beads. 10. 根据权利要求1所述的方法，其中所述第一组分包含核酸分子且所述第二组分包含大分子基质。 10. The method according to claim 1, wherein said nucleic acid molecule comprises a first component and said second component comprises a matrix of macromolecules. 11. 根据权利要求10所述的方法，其中所述大分子基质包含聚合物基质。 11. The method according to claim 10, wherein the polymer matrix comprises a matrix of macromolecules. 12. 根据权利要求11所述的方法，其中所述聚合物基质包含水凝胶。 12. The method according to claim 11, wherein the polymer matrix comprises a hydrogel. 13. 根据权利要求12所述的方法，其中所述水凝胶包含交联聚丙烯酰胺。 13. 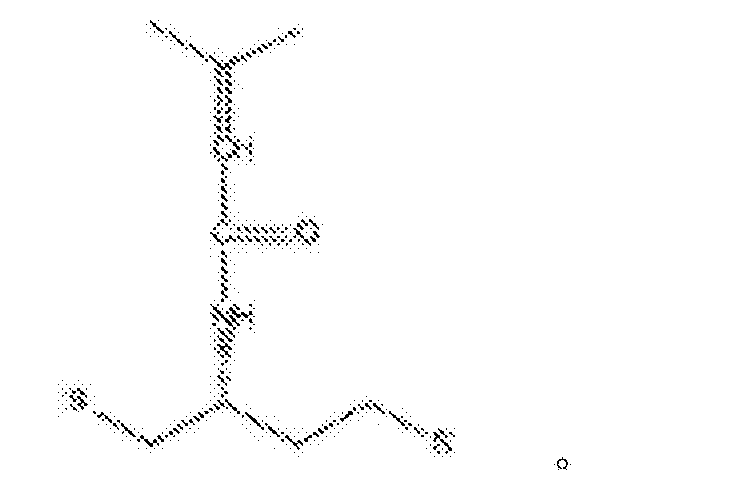 The method according to claim 12, wherein said hydrogel comprises a crosslinked polyacrylamide. 14. 根据权利要求13所述的方法，其中所述交联聚丙烯酰胺通过可还原交键联交联。 14. The method according to claim 13, wherein said crosslinked polyacrylamides reducible cross-linking by cross-linking. 15. 根据权利要求14所述的方法，其中所述可还原交键联包括二硫键联。 15. The method according to claim 14, wherein the cross-linking comprises a reducible disulfide linked. 16. 根据权利要求14所述的方法，其还包括在(c)之前，裂解所述可还原交键联。 16. The method according to claim 14, further comprising, prior to (C), the cleavage of reducible cross-linking. 17. 根据权利要求11所述的方法，其中所述可还原键联包括连接所述核酸分子与所述聚合物基质的^硫键联。 17. The method according to claim 11, wherein said connector comprises a reducible linkage with the nucleic acid molecule of the polymer matrix ^ sulfur linkages. 18. 根据权利要求12所述的方法，其中所述核酸分子包含条码序列。 18. The method according to claim 12, wherein said nucleic acid molecule comprises a barcode sequence. 19. 根据权利要求18所述的方法，其中，在(c)中，所述扩增产物包含所述条码序列。 19. The method of claim 18, wherein, in (c), the amplification product comprises the sequence of bar codes. 20. 根据权利要求1所述的方法，其中所述扩增产物包含局部发夹结构。 20. The method according to claim 1, wherein the amplification product comprises a partial hairpin structure. 21. 根据权利要求1所述的方法，其还包括，在(c)之后，提供所述扩增产物的至少一部分的序列。 21. A method according to claim 1, further comprising, after (C), providing at least a portion of the sequence of the amplification product. 22. 根据权利要求1所述的方法，其中在油包水乳液中的液滴的水性内部提供所述反应体积。 22. The method of claim 1, wherein the inside-in-oil emulsion of aqueous droplets in the water to provide the reaction volume. 23. 根据权利要求1所述的方法，其中在(a)中，所述反应体积包含酶。 23. The method according to claim 1, wherein in (a), the reaction volume comprises an enzyme. 24. 根据权利要求23所述的方法，其中所述酶是参与所述扩增反应的聚合酶。 24. The method according to claim 23, wherein the enzyme is involved in the amplification reaction is a polymerase. 25. 根据权利要求1所述的方法，其中在(a)中，所述第一组分包含参与所述扩增反应的引物。 25. The method of claim 1, wherein in (a), the first component comprises participating in the amplification reaction primers. 26. —种进行还原反应的方法，其包括： (a)在反应体积中提供试剂，其中所述试剂包含第一组分，所述第一组分通过可还原键联与第二组分偶联，并且其中所述反应体积包括呈非活性状态的还原剂，使得所述还原剂与所述可还原键联基本上不反应； ⑹使所述还原剂经受活化条件，使得所述还原剂变得与所述可还原键联有反应性;并且(c)容许所述还原剂与所述可还原键联反应以使所述第一组分与所述第二组分去偶联。 26. - The method of reduction reaction species, comprising: (a) providing a reagent in the reaction volume, wherein the reagent comprises a first component, the first component may be reduced by linking with the second coupling component joint, and wherein the reaction comprises, in an inactive state of the volume reducing agent, the reducing agent so that the reducible linkage are substantially non-reactive; ⑹ the reducing agent is subjected to an activation condition, such that the reducing agent becomes the reduction may be obtained with reactive linkage; and (c) allowing the reducing agent to the reaction reducible linkage such that said first component and said second component decoupling. 27. 根据权利要求26所述的方法，其中，在(a)中，所述反应体积包括模板核酸分子。 27. A method according to claim 26, wherein, in (a), said reaction volume comprising a template nucleic acid molecule. 28. 根据权利要求27所述的方法，其中所述第一组分包含引物。 28. The method according to claim 27, wherein said first component comprises a primer. 29. 根据权利要求27所述的方法，其还包括在(c)之后，使用所述第一组分，使所述模板核酸分子经受扩增反应，以得到作为所述模板核酸分子扩增产物的核酸分子。 29. The method of claim 27, further comprising, after (C), using said first component, so that the template nucleic acid molecule is subjected to amplification reaction as the template nucleic acid to obtain an amplification product molecule the nucleic acid molecule. 30. 根据权利要求29所述的方法，其中所述引物包含条码序列。 30. The method of claim 29, wherein said primer sequence comprises a bar code. 31. 根据权利要求29所述的方法，其还包括测定所述扩增产物的至少一部分序列的序列。 31. The method according to claim 29, further comprising a sequence of at least part of the sequence of the amplification product is measured. 32. 根据权利要求26所述的方法，其中所述活化条件包括向所述反应体积添加热能。 32. The method according to claim 26, wherein said activation conditions comprise adding thermal energy to the reaction volume. 33. 根据权利要求26所述的方法，其中所述活化条件裂解所述还原剂的共价键。 33. The method according to claim 26, wherein said activation conditions cleavage of the covalent bond reducing agent. 34. 根据权利要求26所述的方法，其中呈其非活性状态的所述还原剂是稳定化还原剂。 34. The method according to claim 26, wherein the inactive state is in its stabilized reducing agent is a reducing agent. 35. 根据权利要求34所述的方法，其中所述稳定化还原剂包含含稳定化硫醇的化合物。 35. The method according to claim 34, wherein the reducing agent comprises a stabilizing compound having thiol stabilized. 36. 根据权利要求35所述的方法，其中所述含稳定化硫醇的化合物包含空间受阻的硫醇基团。 36. The method according to claim 35, wherein the thiol-containing stabilizing compound comprises a sterically hindered thiol group. 37. 根据权利要求35所述的方法，其中所述含稳定化硫醇的化合物包含经取代的二硫丁胺(DTBA)。 37. The method according to claim 35, wherein the thiol-containing stabilizing compound comprises a substituted disulfide amine (DTBA). 39. 根据权利要求26所述的方法，其中所述第二组分包含珠粒。 39. The method according to claim 26, wherein said second component comprises beads. 40. 根据权利要求26所述的方法，其中所述第一组分包含核酸分子且所述第二组分包含大分子基质。 40. The method according to claim 26, wherein said nucleic acid molecule comprises a first component and said second component comprises a matrix of macromolecules. 41. 根据权利要求40所述的方法，其中所述大分子基质包含聚合物基质。 41. The method according to claim 40, wherein the polymer matrix comprises a matrix of macromolecules. 42. 根据权利要求41所述的方法，其中所述聚合物基质包含水凝胶。 42. The method according to claim 41, wherein the polymer matrix comprises a hydrogel. 43. 根据权利要求42所述的方法，其中所述水凝胶包含交联聚丙烯酰胺。 43. The method according to claim 42, wherein said hydrogel comprises a crosslinked polyacrylamide. 44. 根据权利要求43所述的方法，其中所述交联聚丙烯酰胺通过可还原交键联交联。 44. The method according to claim 43, wherein said crosslinked polyacrylamides reducible cross-linking by cross-linking. 45. 根据权利要求44所述的方法，其中所述可还原交键联包括二硫键联。 45. The method according to claim 44, wherein the cross-linking comprises a reducible disulfide linked. 46. 根据权利要求45所述的方法，其还包括在⑹之后，裂解所述可还原交键联。 46. ​​The method according to claim 45, further comprising, after ⑹, cleaving the cross-linking may be reduced. 47. 根据权利要求40所述的方法，其中所述可还原键联包括连接所述核酸分子与所述聚合物基质的^硫键联。 47. The method according to claim 40, wherein said connector comprises a reducible linkage with the nucleic acid molecule of the polymer matrix ^ sulfur linkages. 48. 根据权利要求40所述的方法，其中所述核酸分子包含条码序列。 48. The method according to claim 40, wherein said nucleic acid molecule comprises a barcode sequence. 49. 根据权利要求26所述的方法，其中在油包水乳液中的液滴的水性内部提供所述反应体积。 49. The method according to claim 26, wherein the oil in the inner aqueous droplets in the aqueous emulsion provide said reaction volume. 50. 根据权利要求26所述的方法，其中在(a)中，所述反应体积包含酶。 50. The method according to claim 26, wherein in (a), the reaction volume comprises an enzyme.